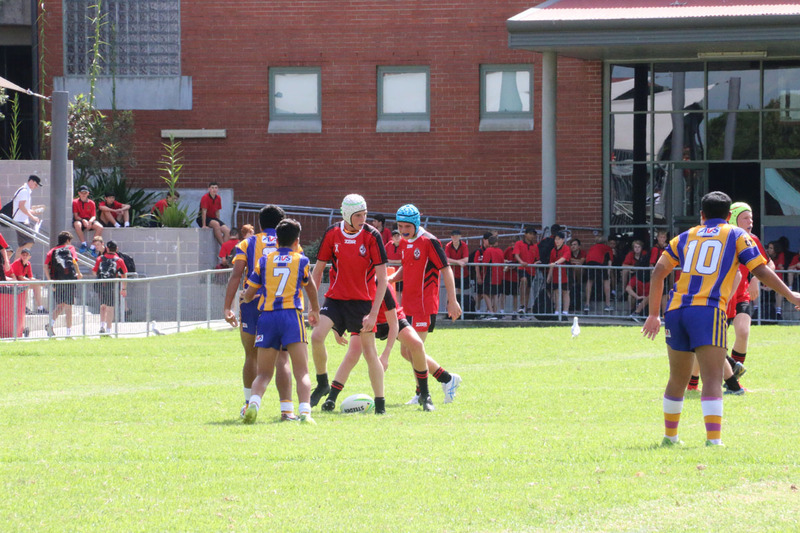 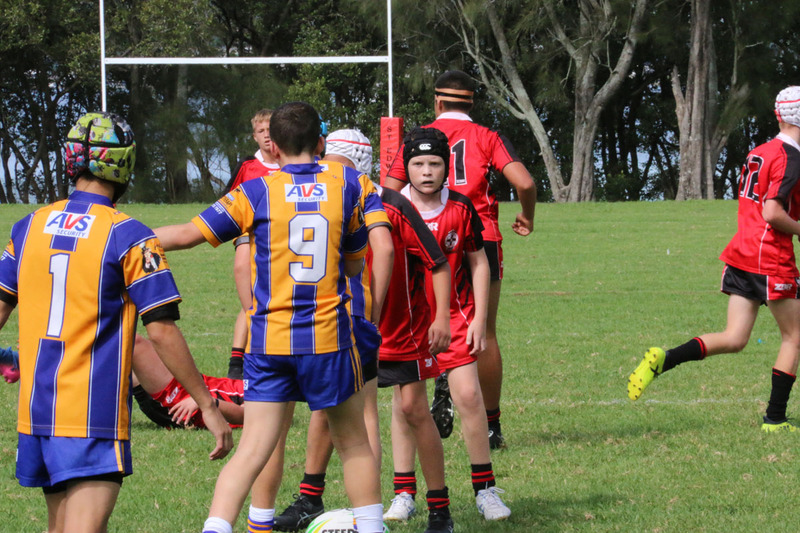 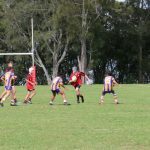 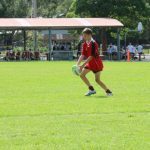 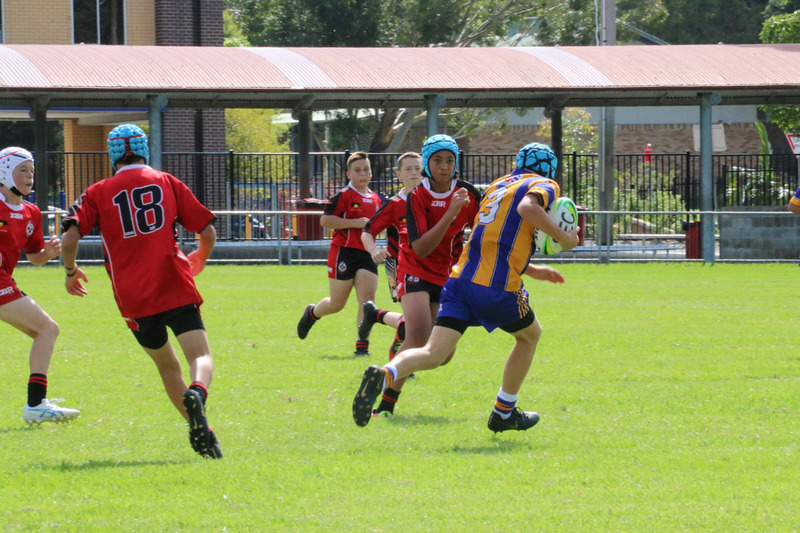 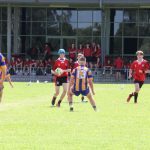 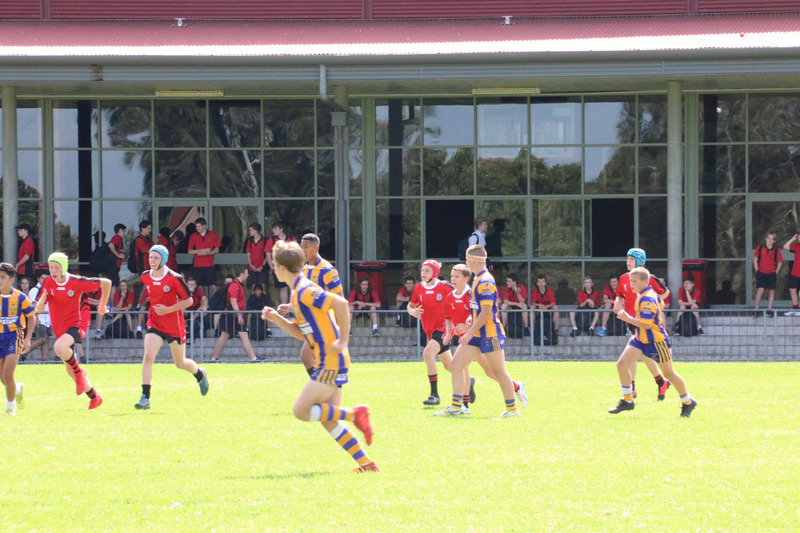 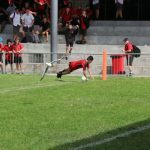 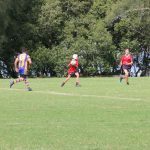 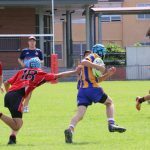 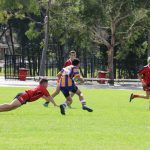 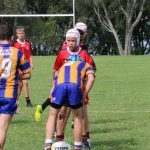 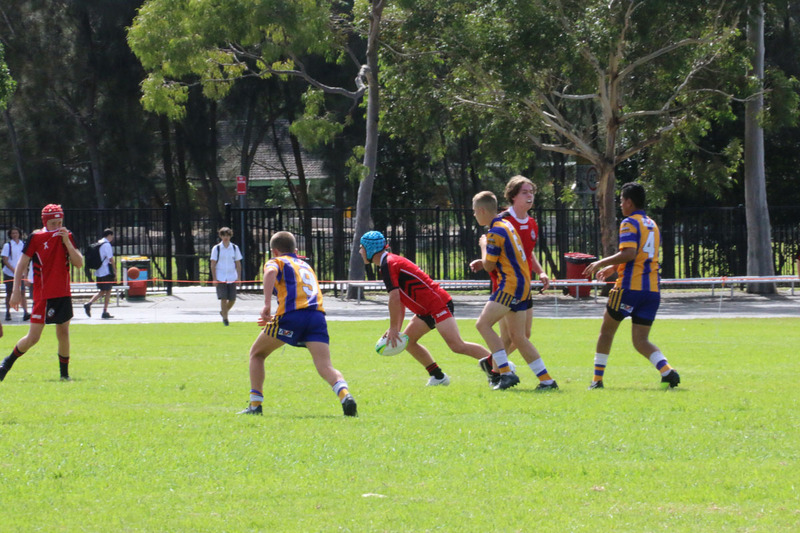 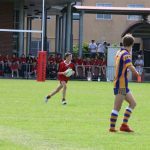 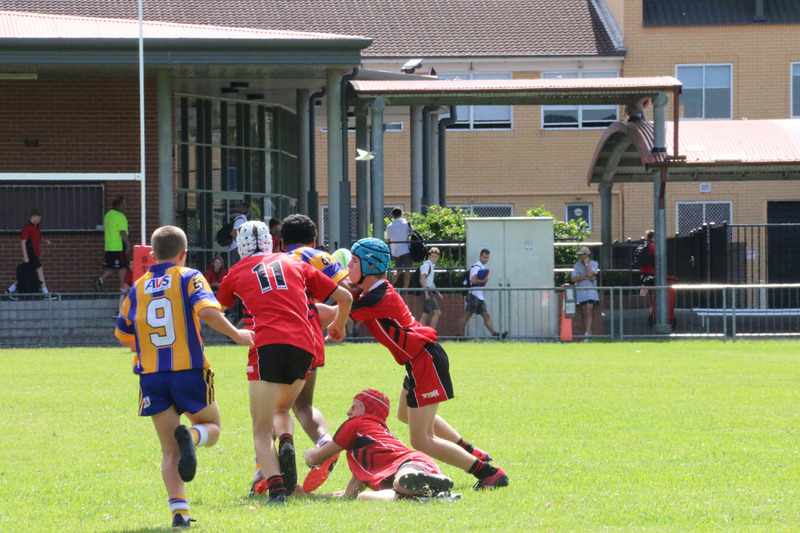 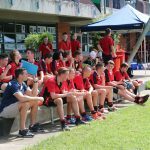 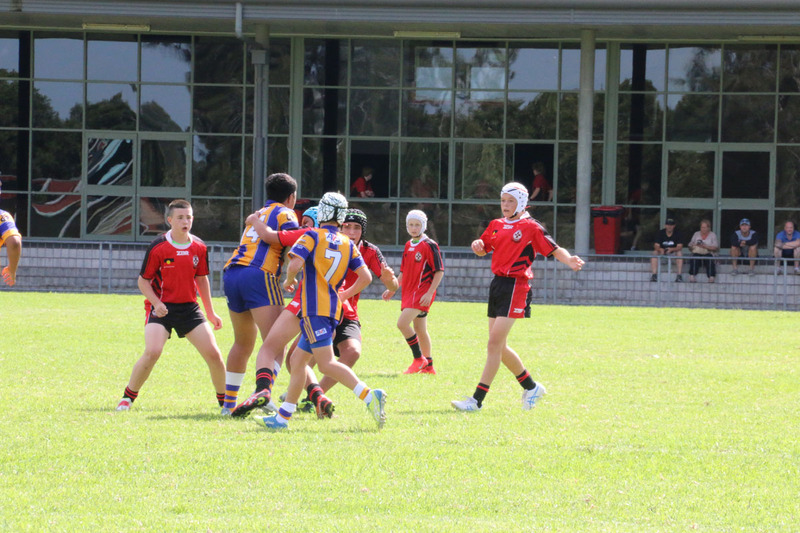 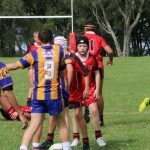 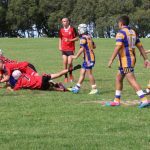 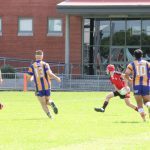 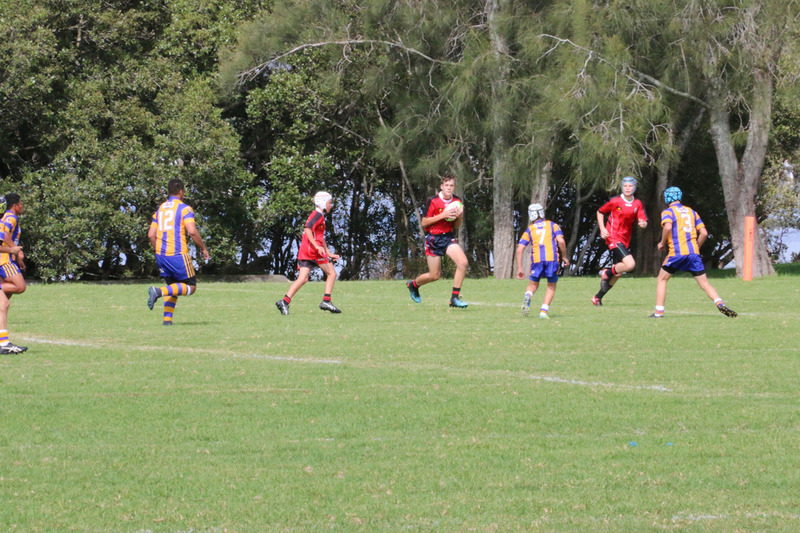 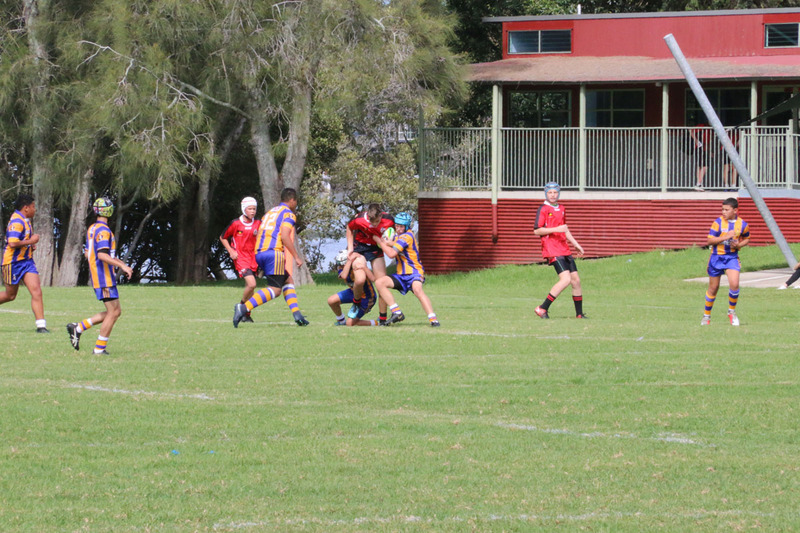 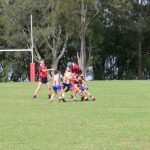 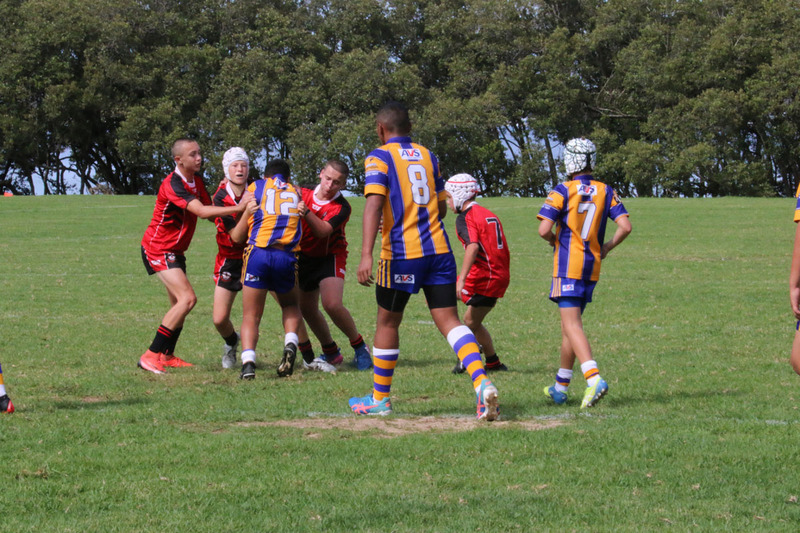 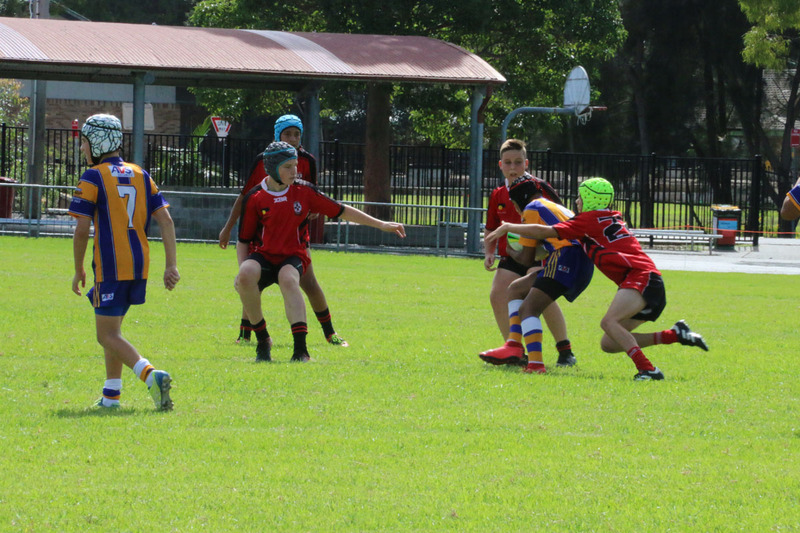 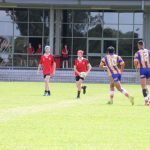 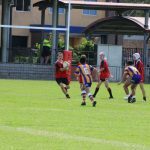 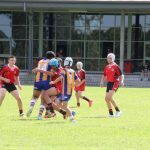 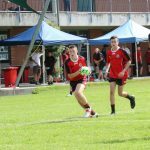 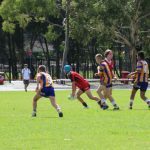 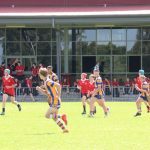 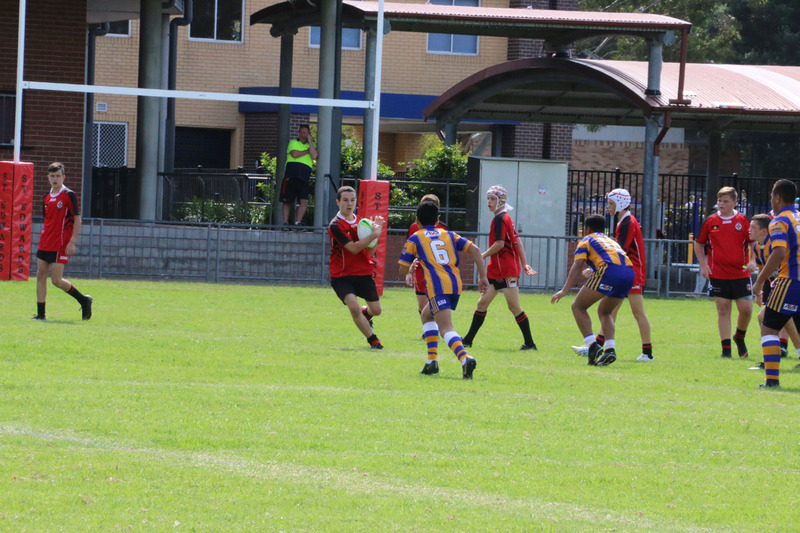 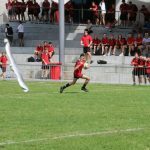 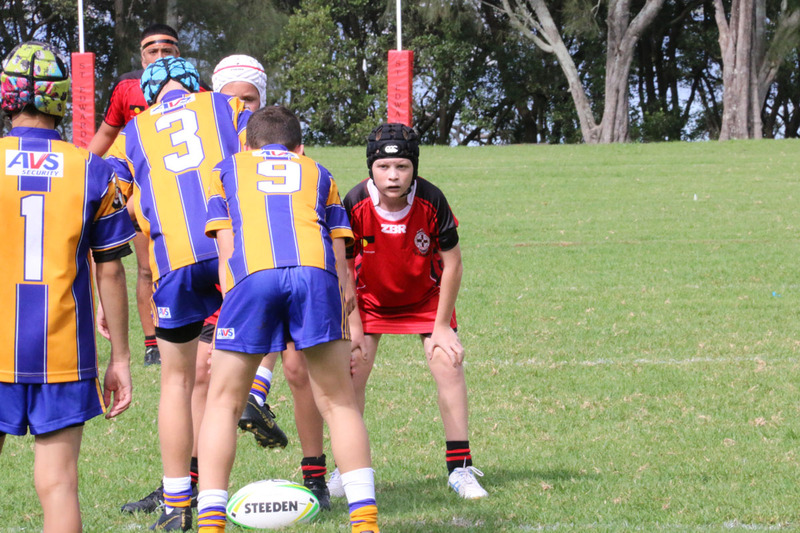 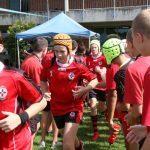 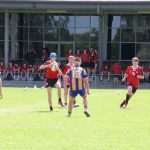 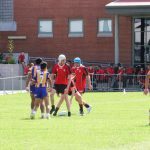 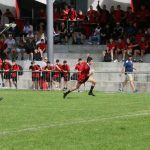 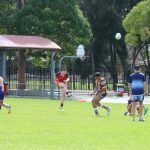 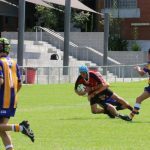 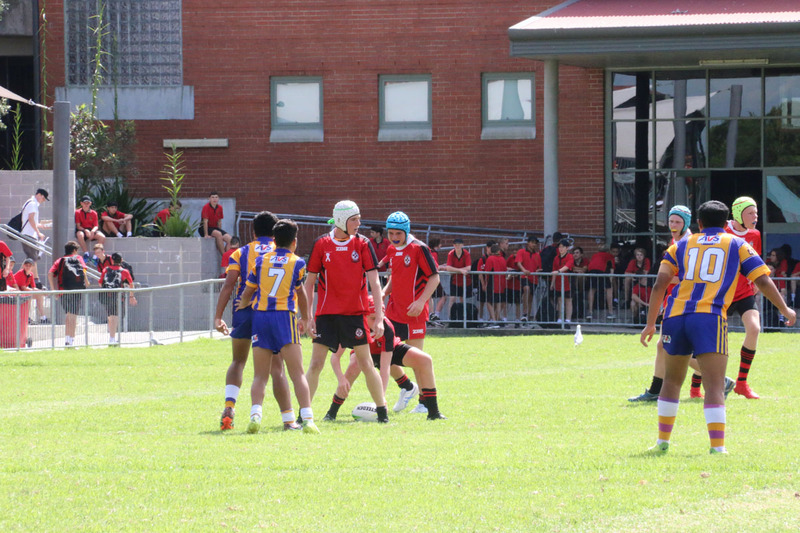 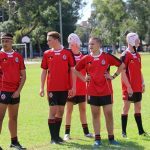 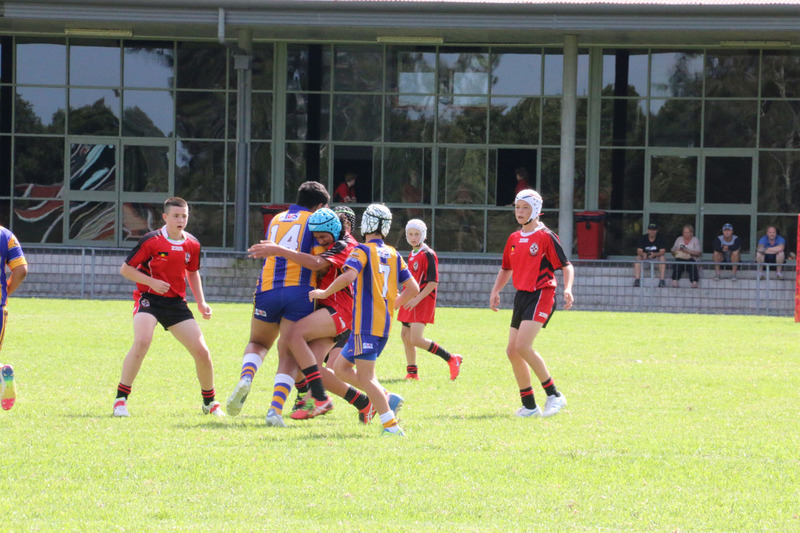 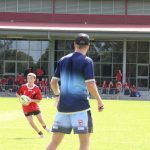 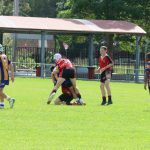 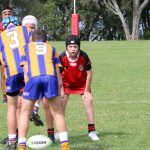 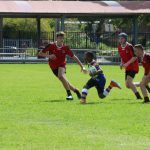 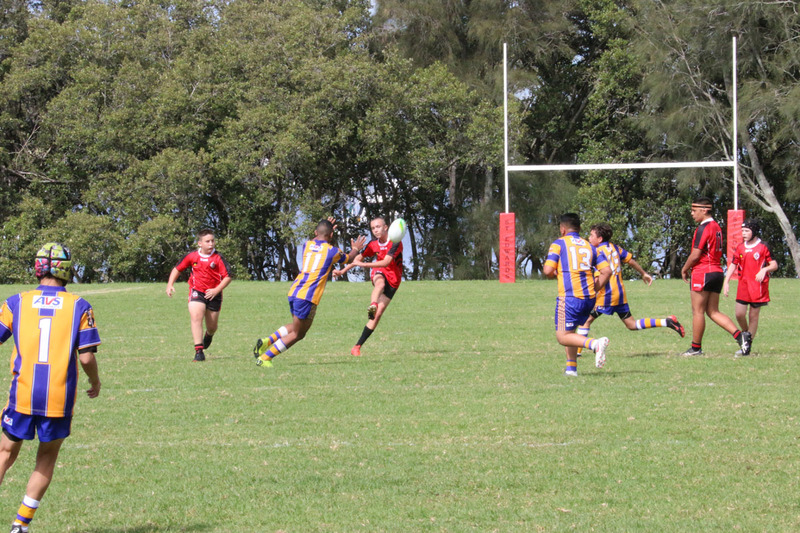 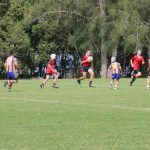 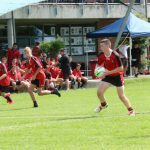 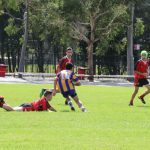 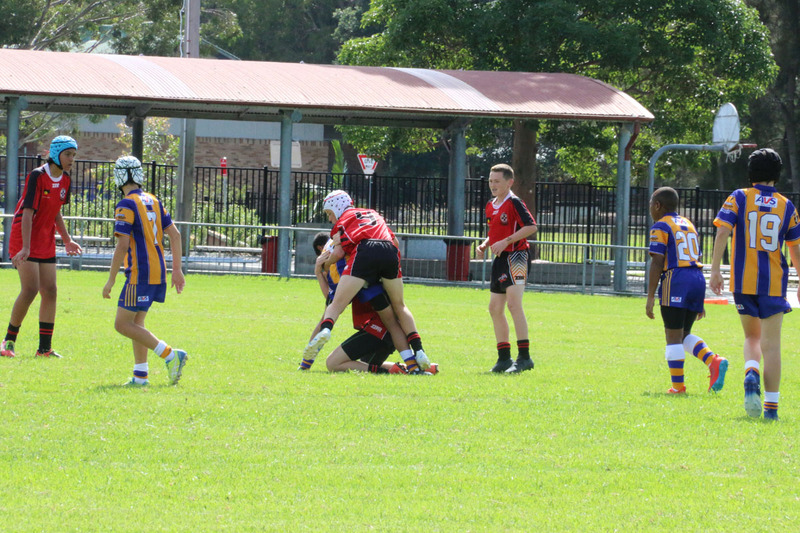 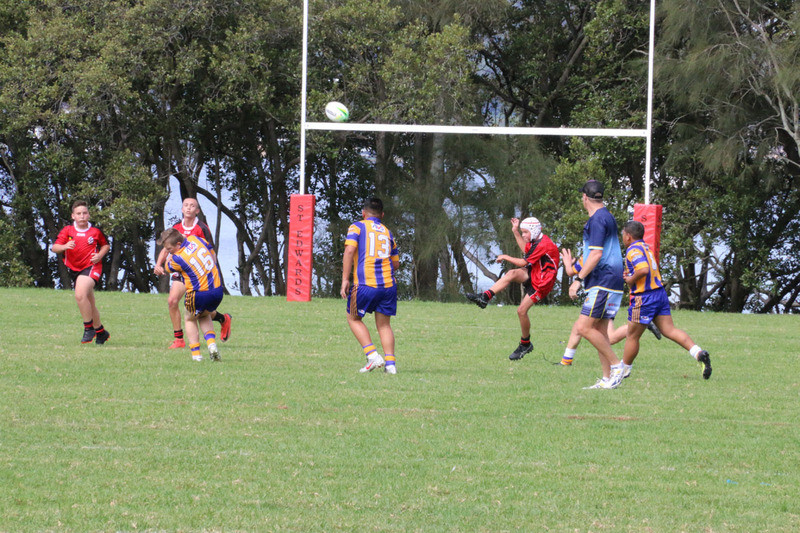 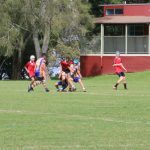 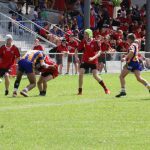 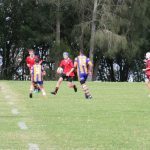 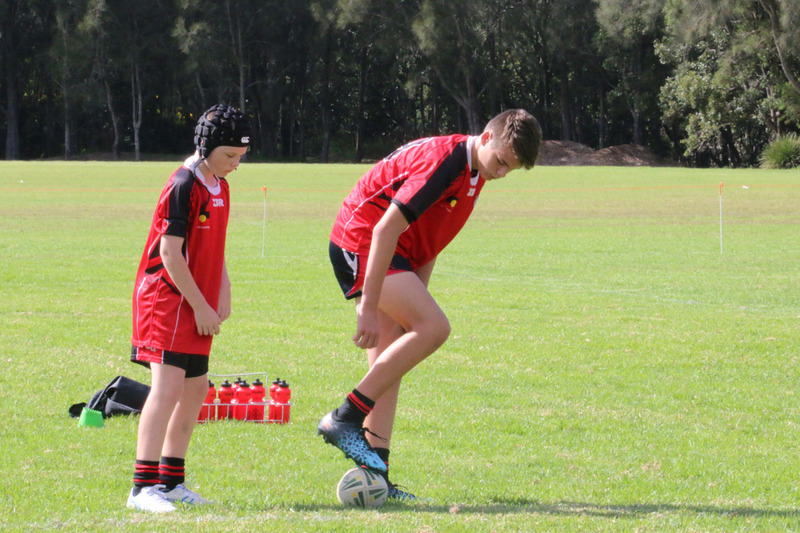 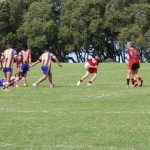 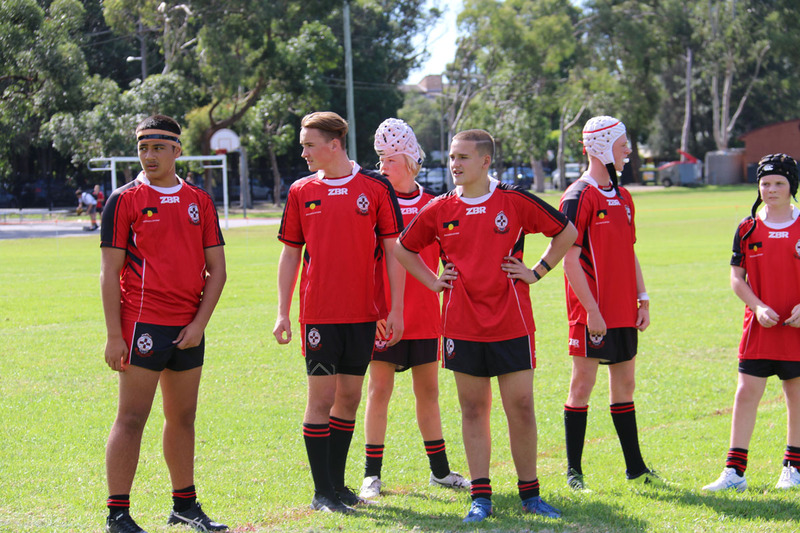 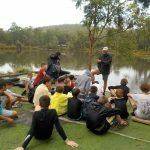 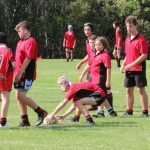 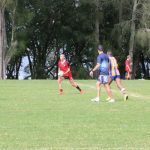 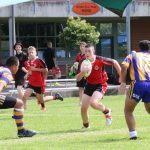 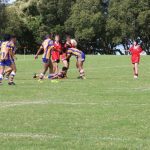 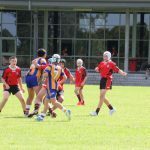 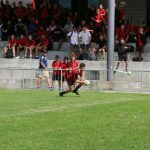 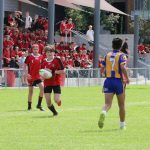 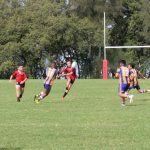 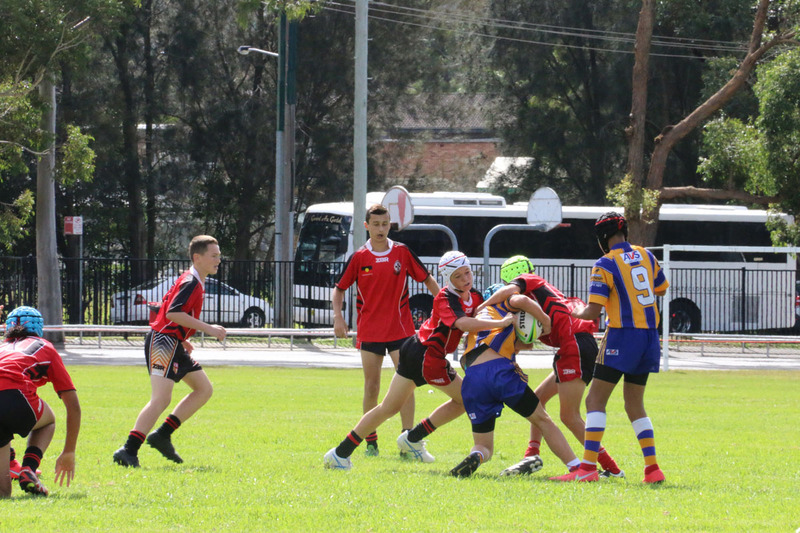 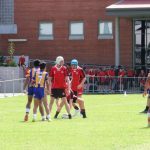 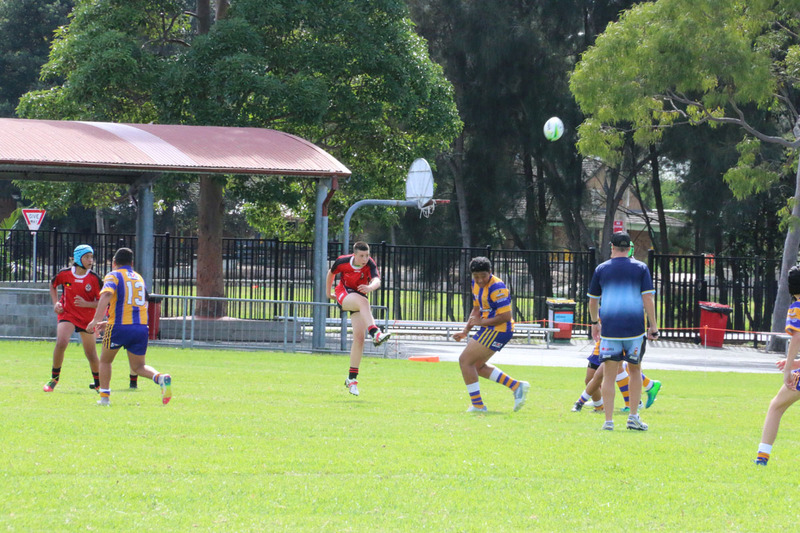 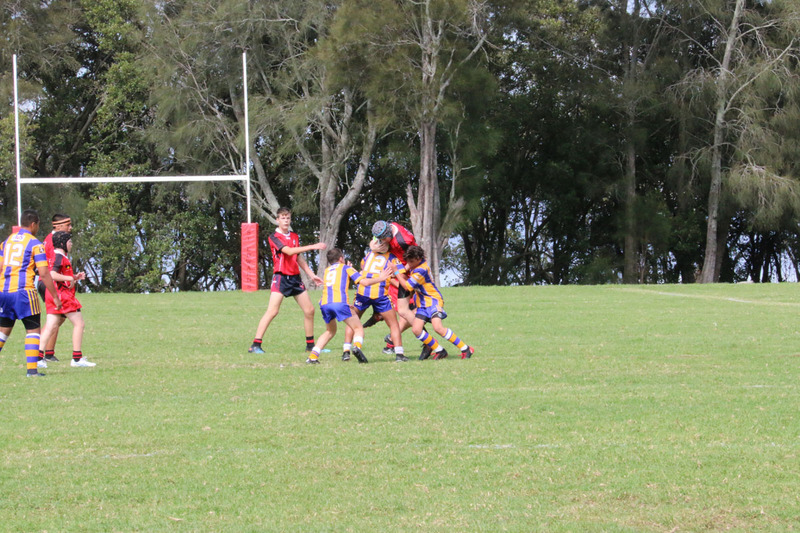 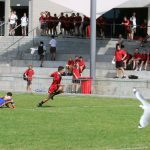 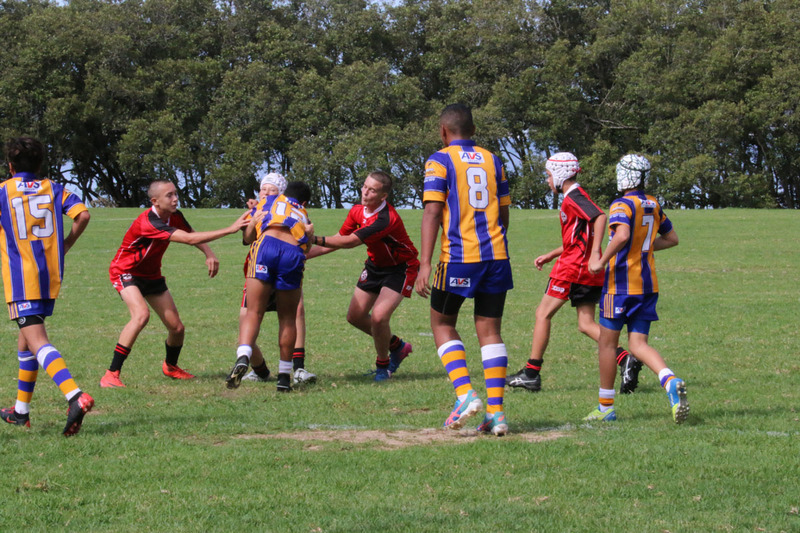 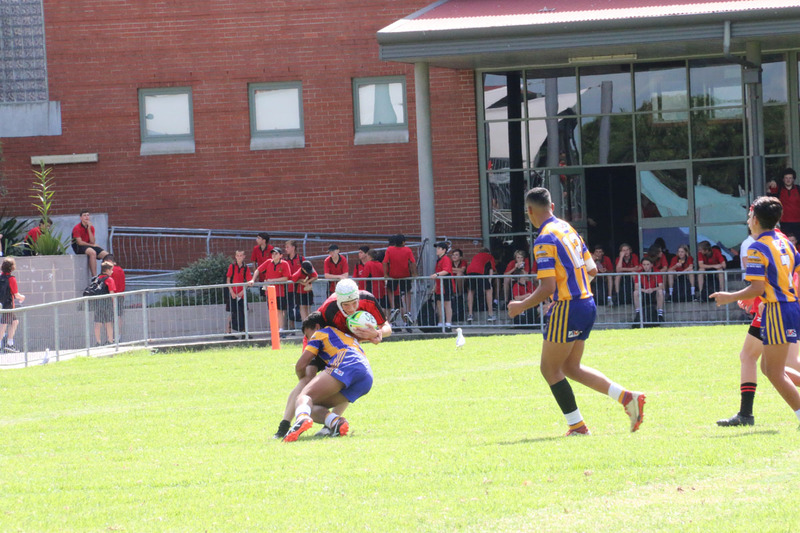 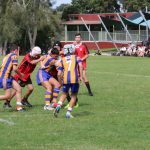 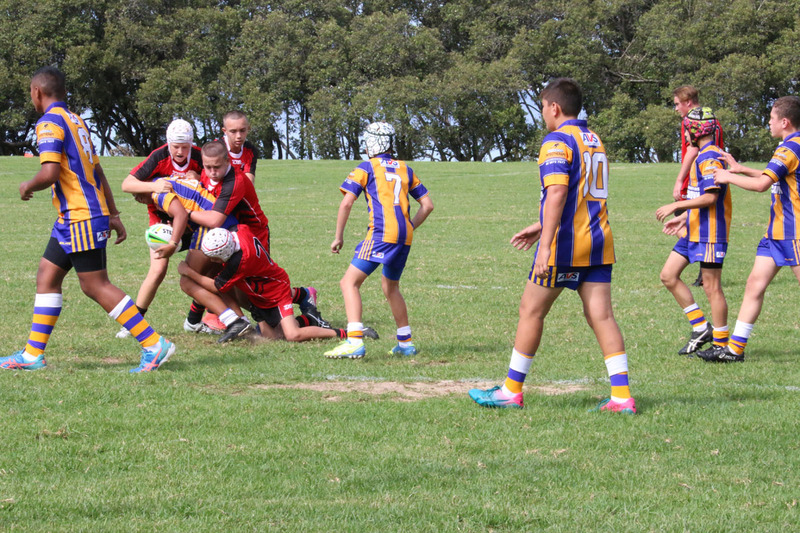 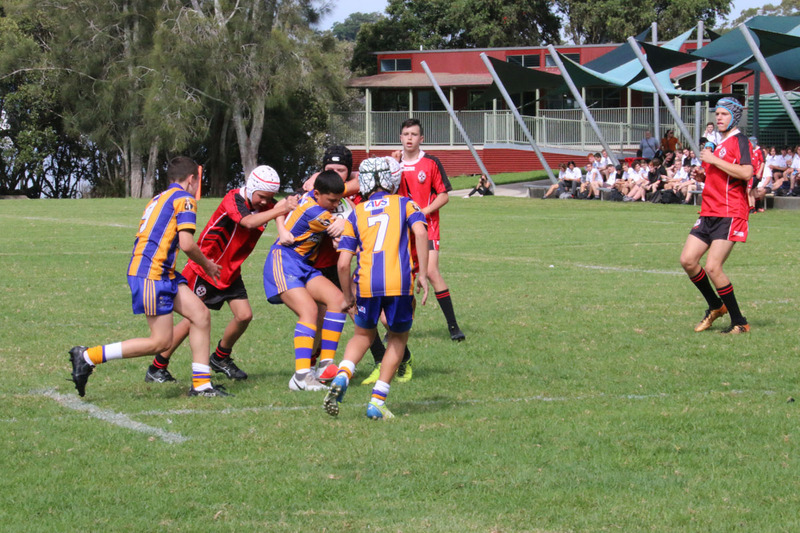 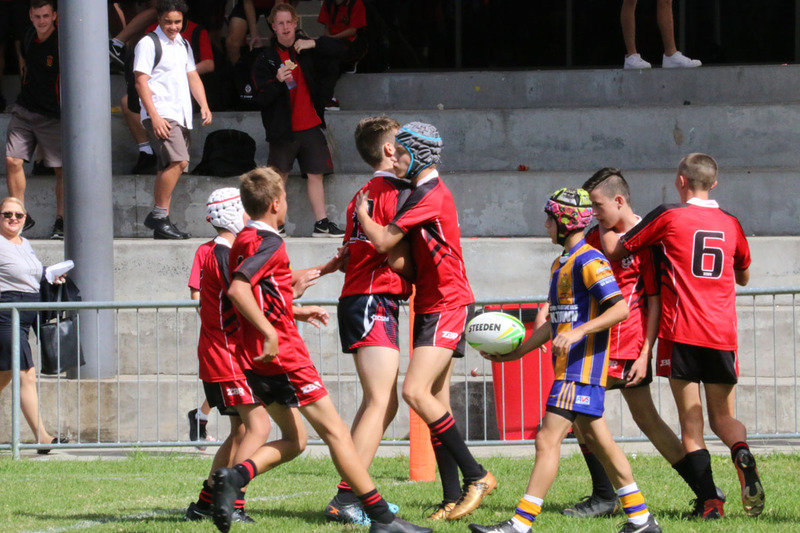 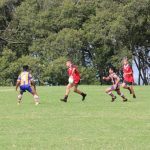 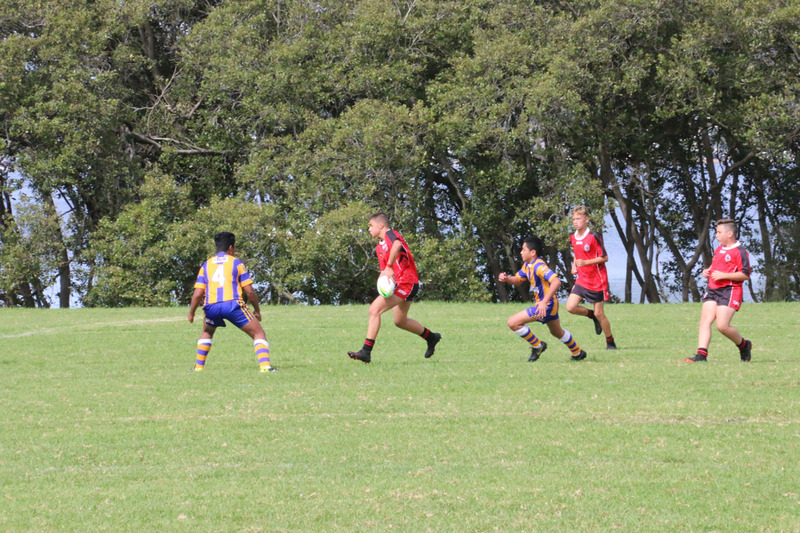 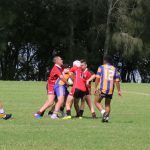 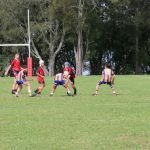 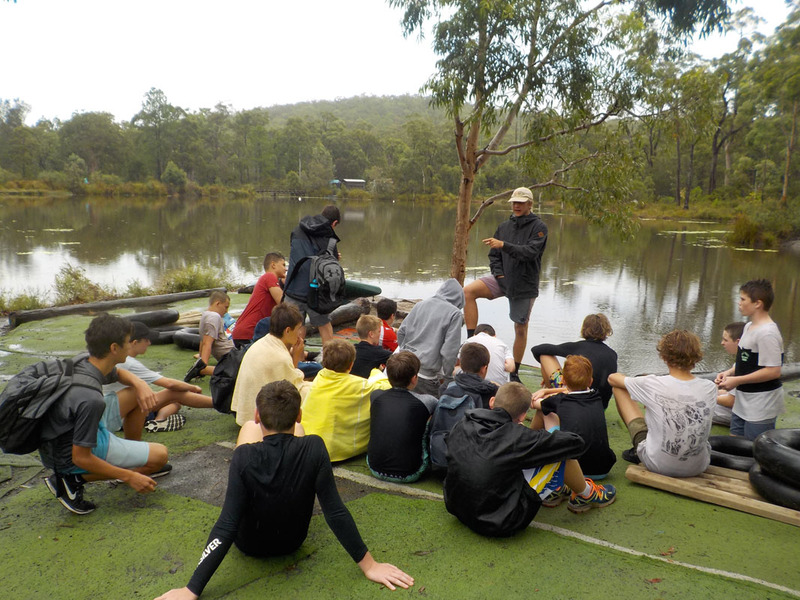 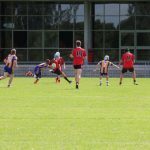 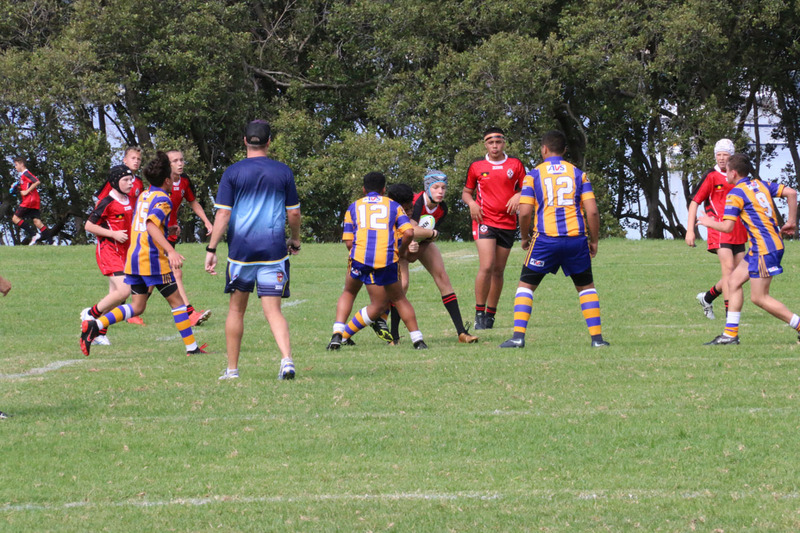 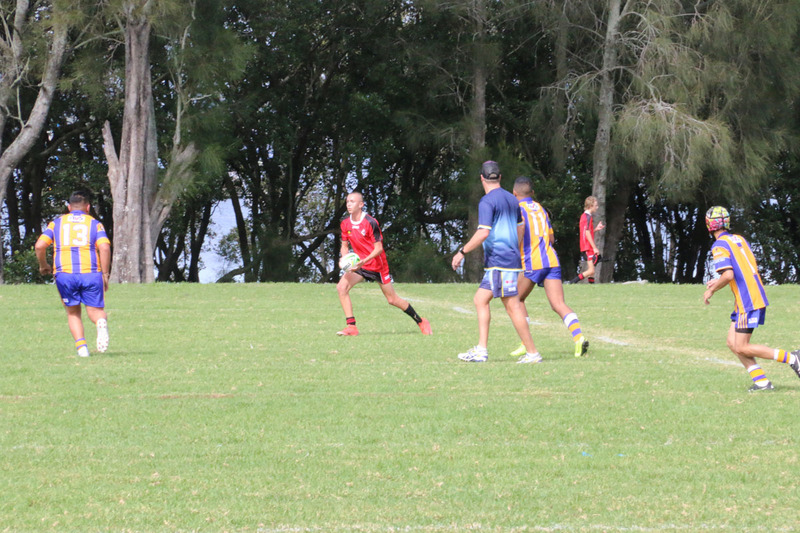 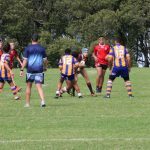 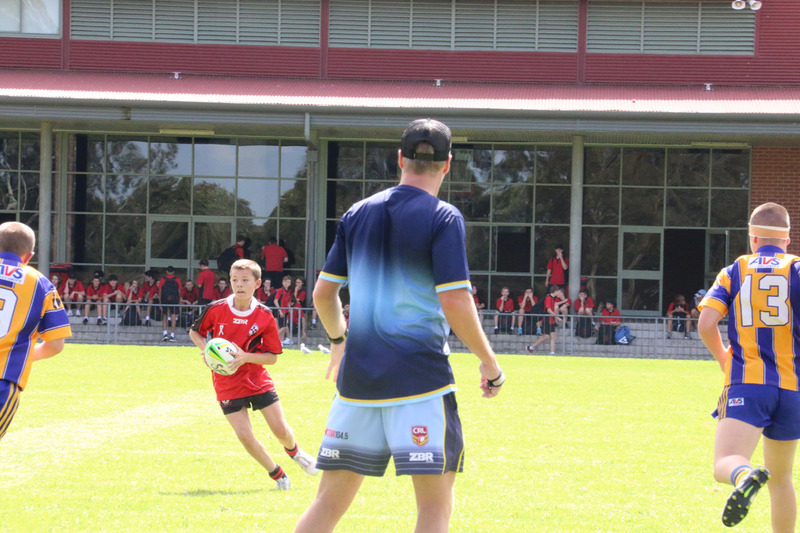 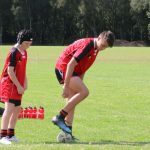 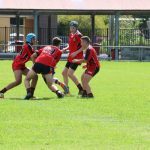 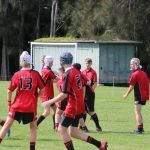 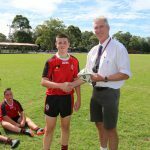 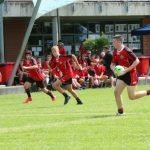 The annual trial game against one of the powerhouses of schoolboy Rugby League was played on our manicured number one oval on Friday Week 8. 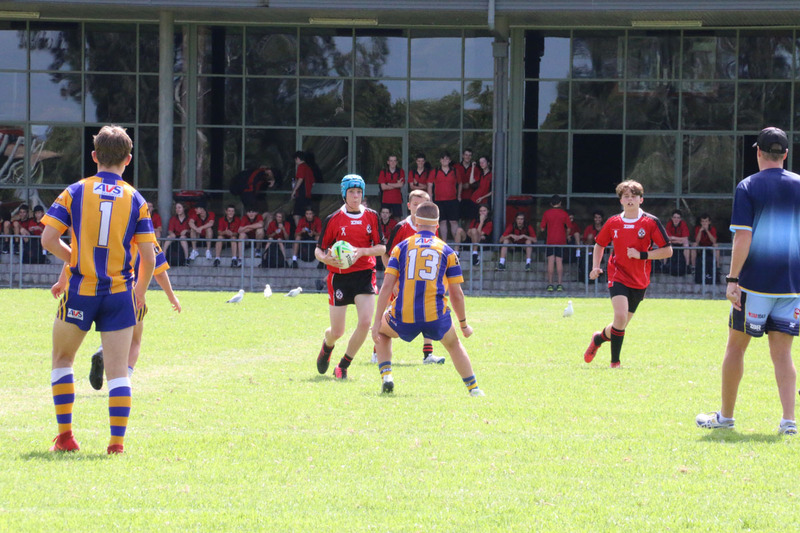 Spectators witnessed two competitive games. 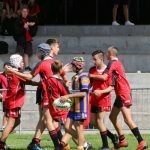 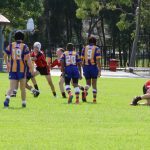 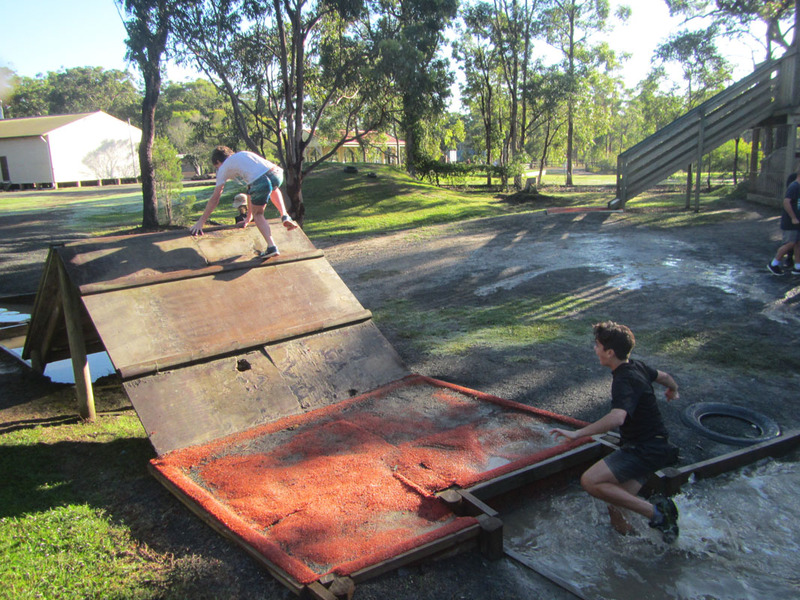 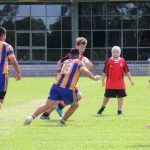 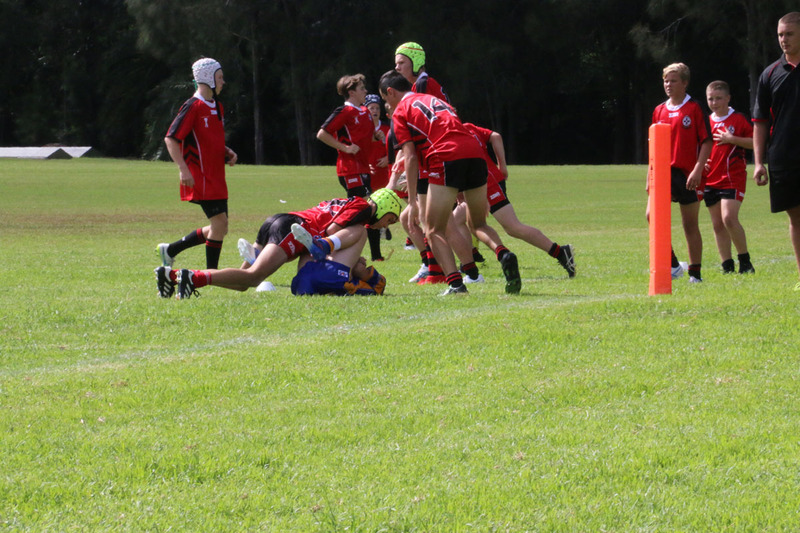 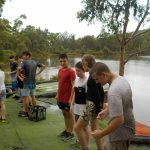 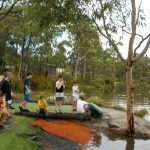 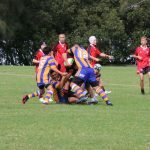 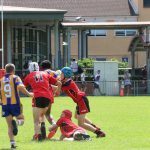 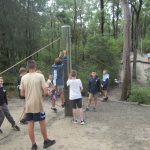 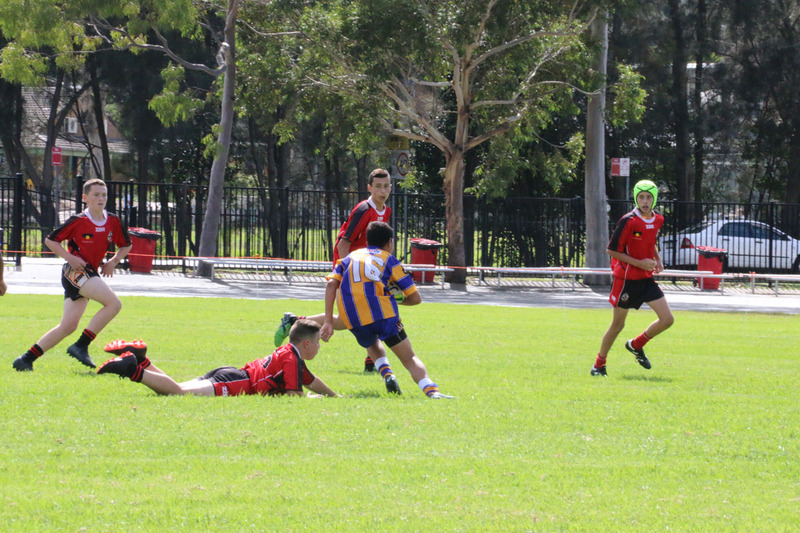 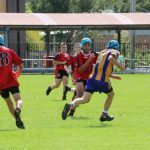 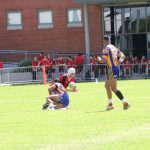 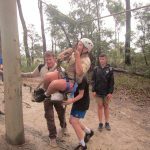 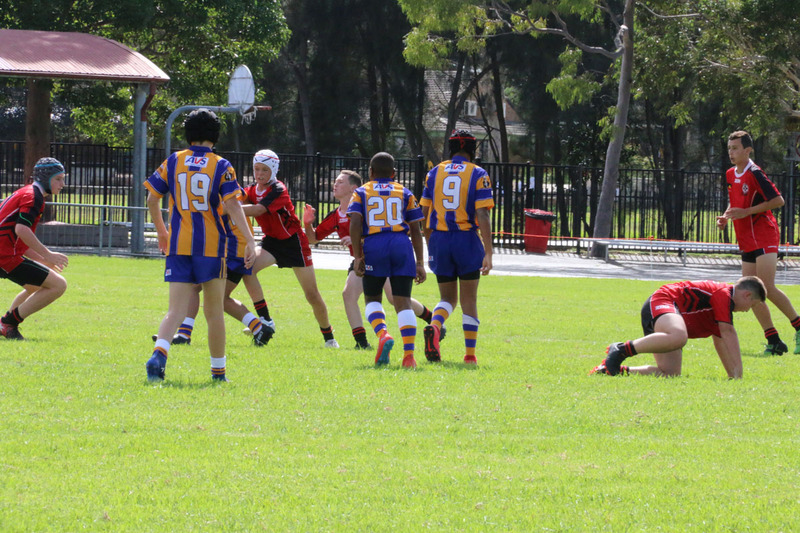 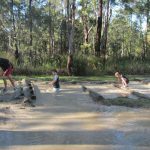 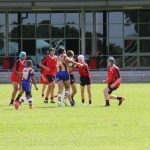 Blacktown won both games but they were very competitive affairs. 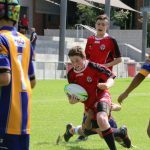 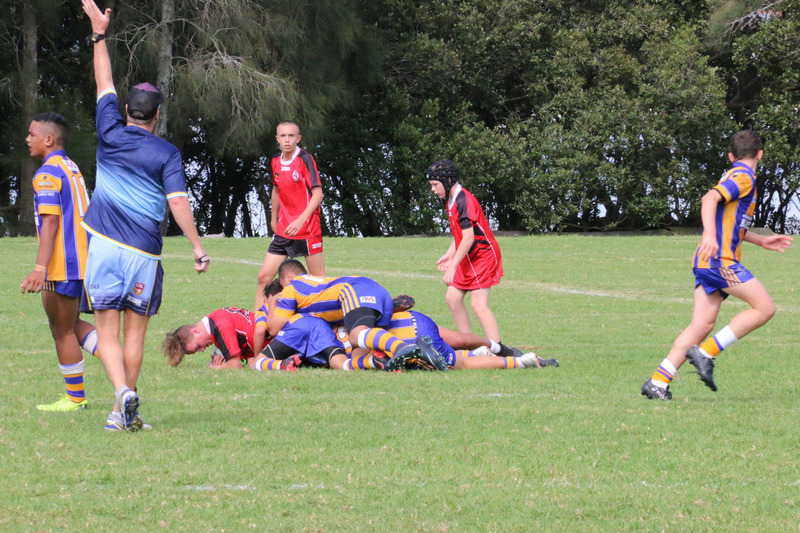 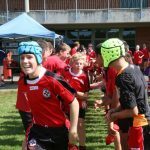 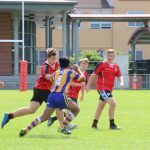 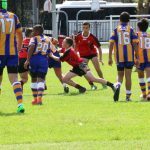 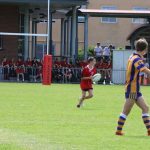 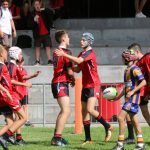 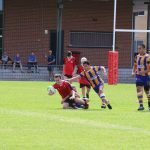 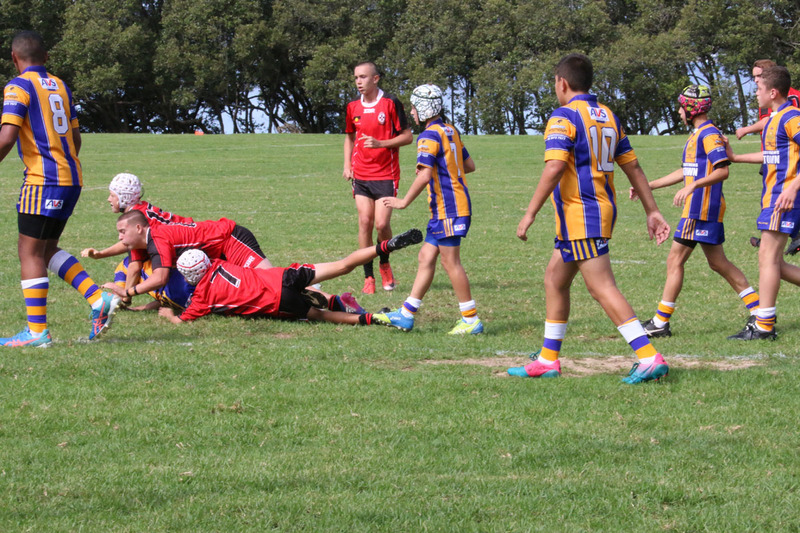 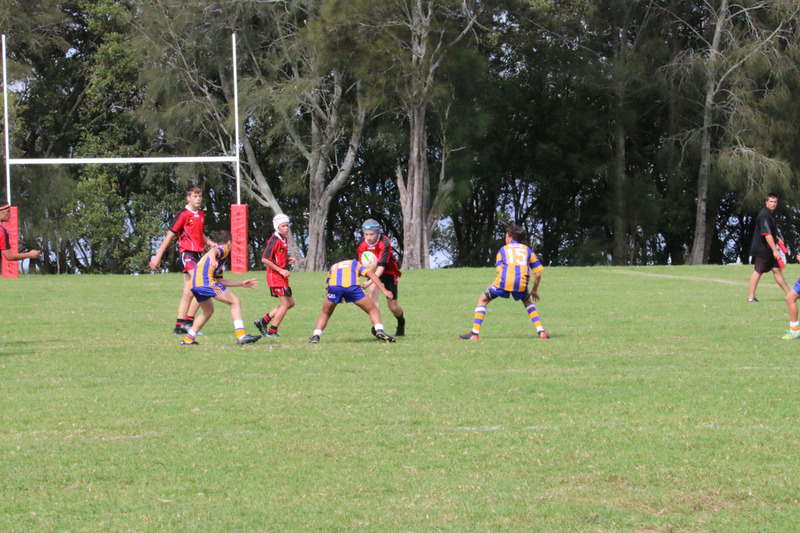 The Under 14’s game was a free flowing contest with both teams creating many try scoring opportunities. 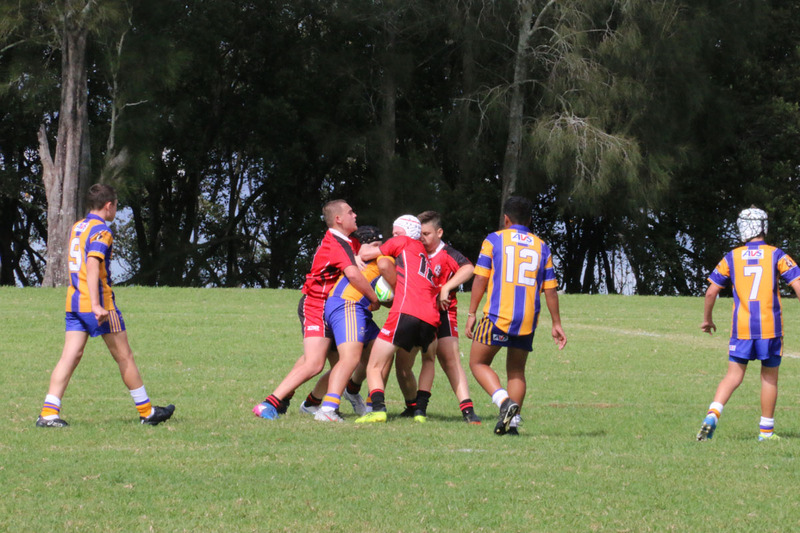 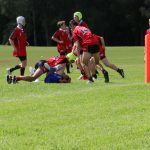 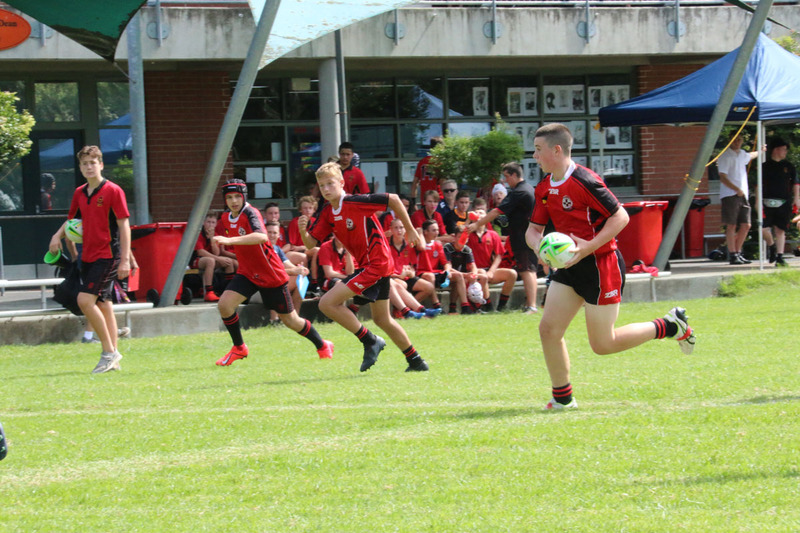 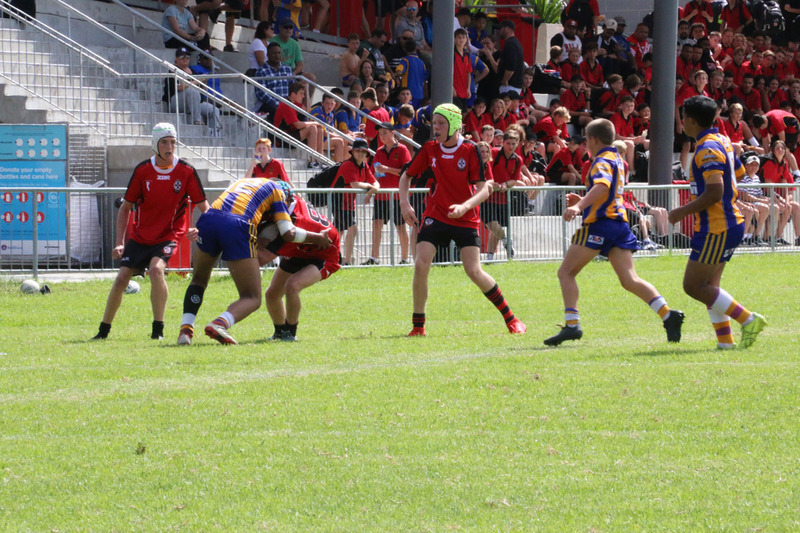 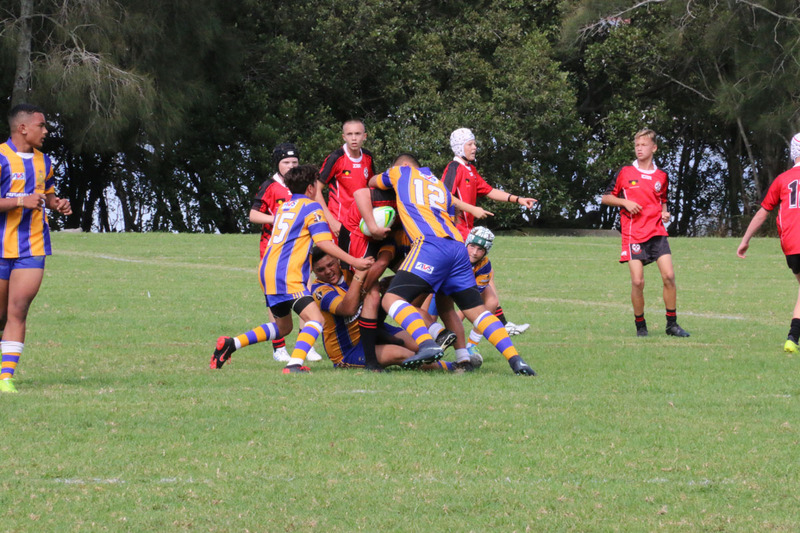 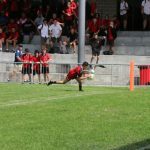 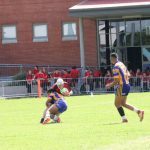 St Edward’s used their backs to gain ground where as Patrician Brothers’ were intent on using their big forwards to plough through the middle of the ruck. 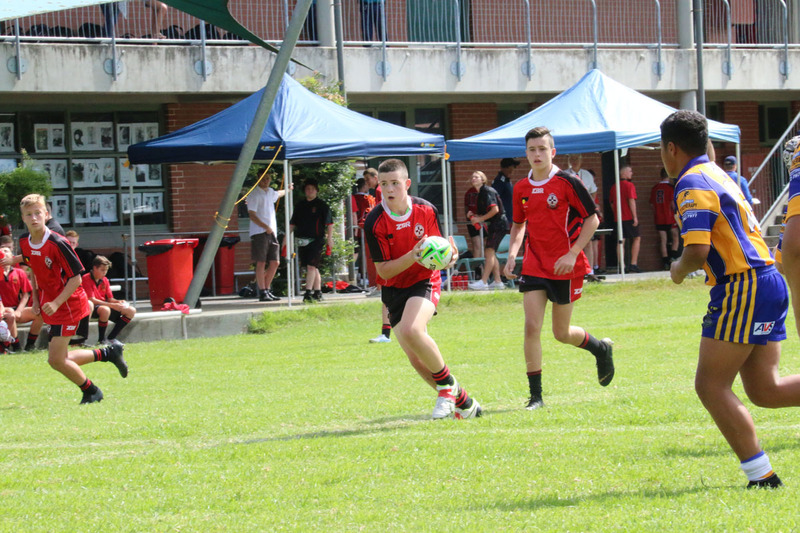 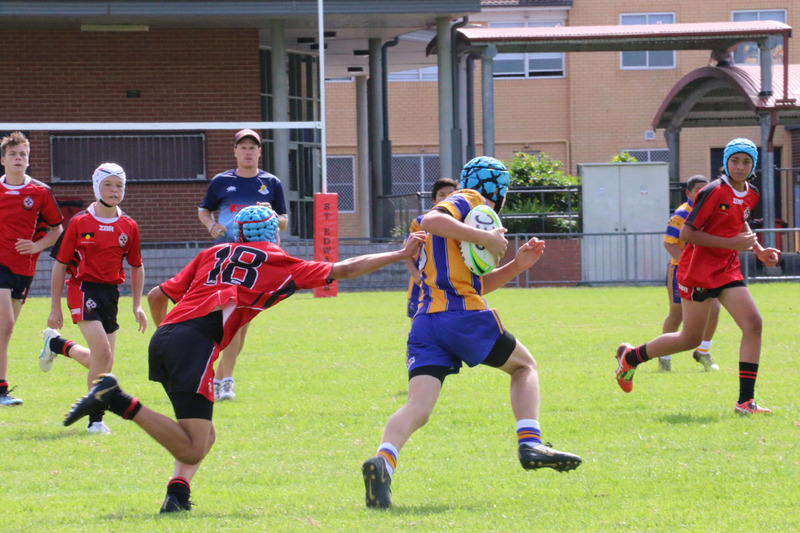 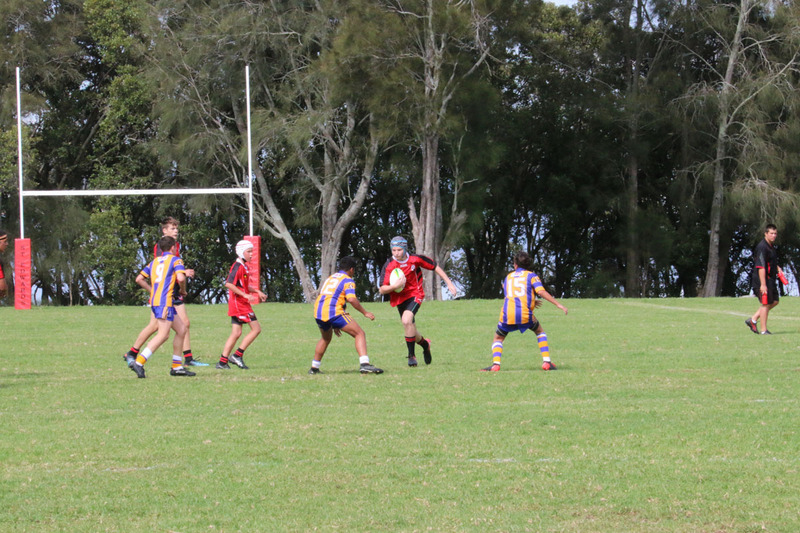 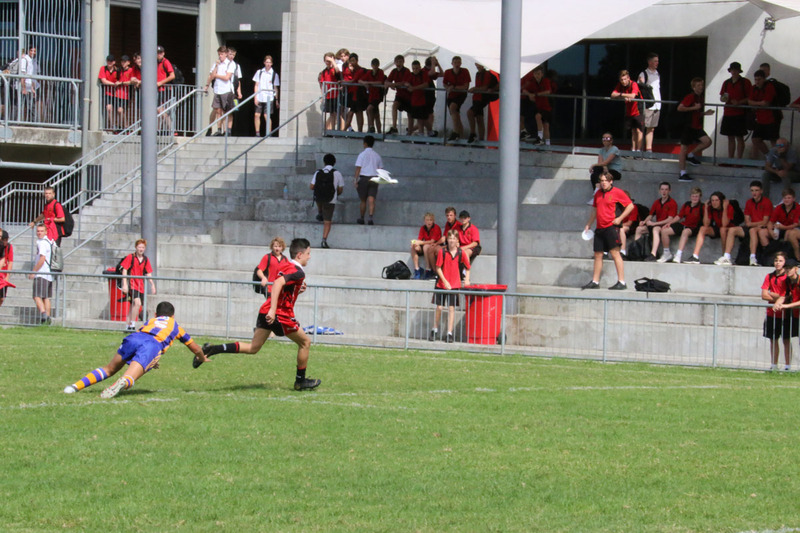 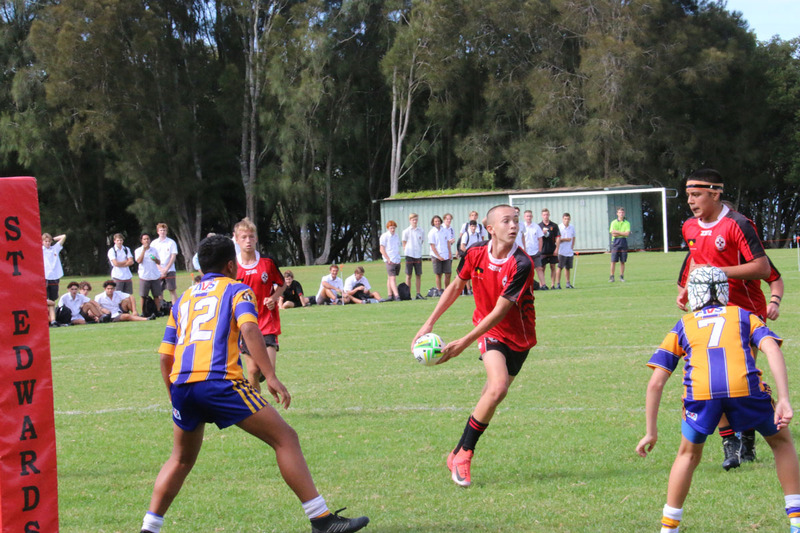 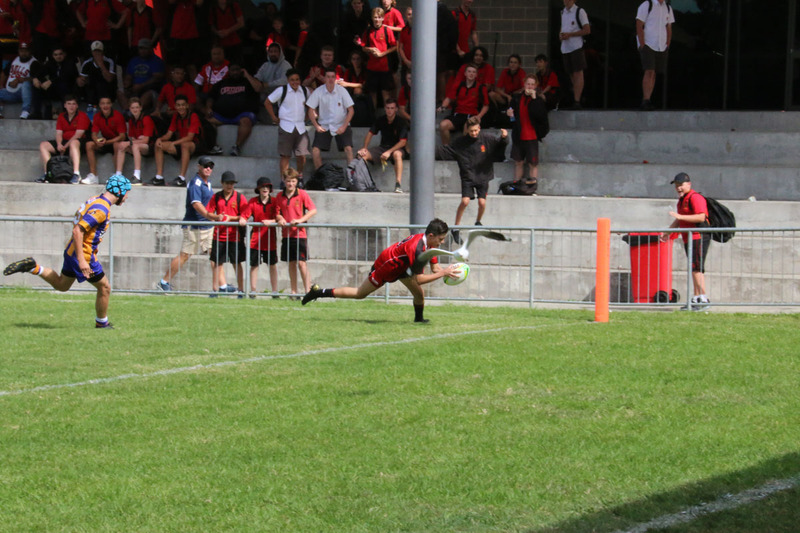 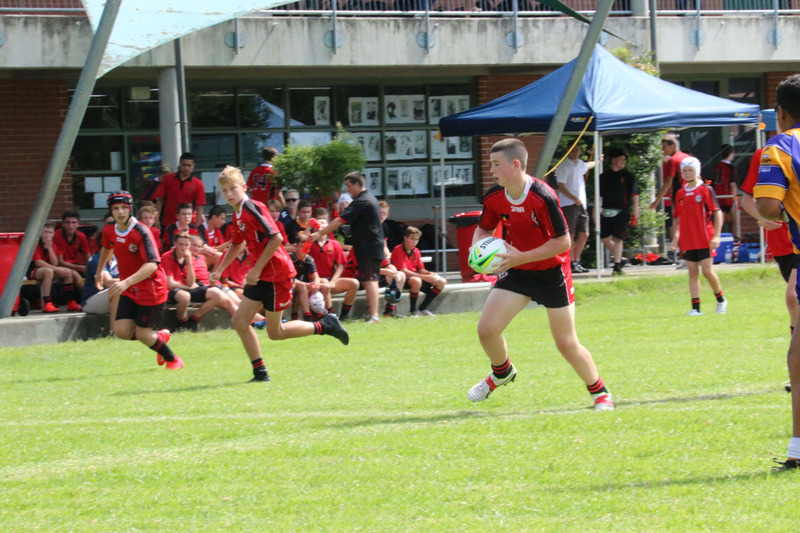 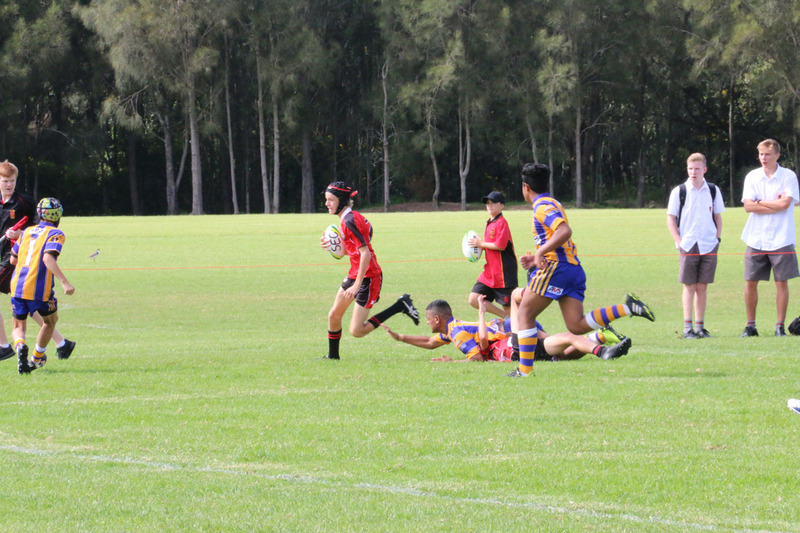 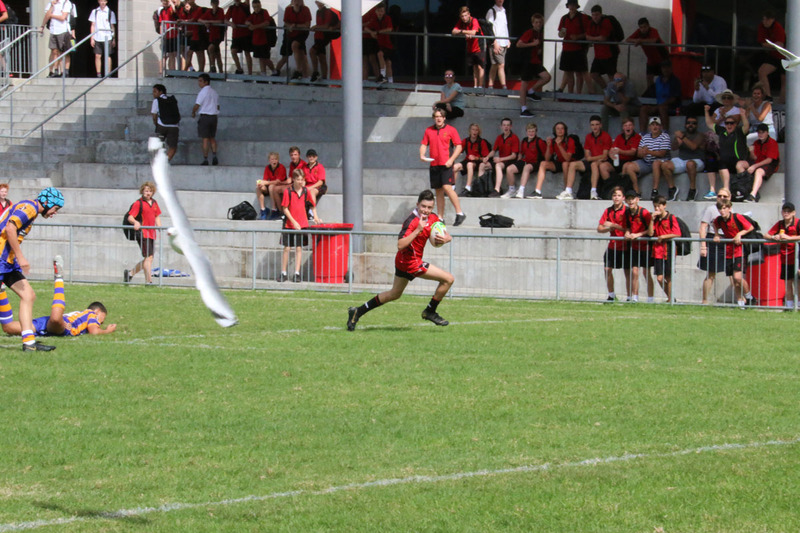 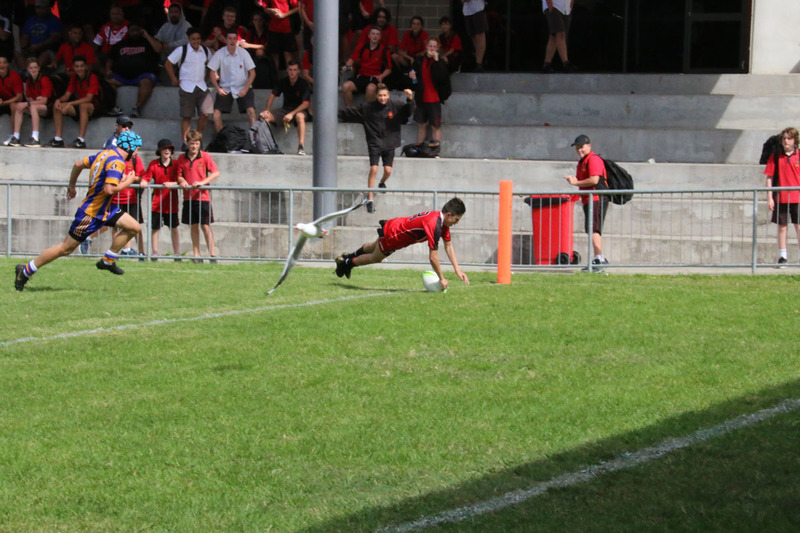 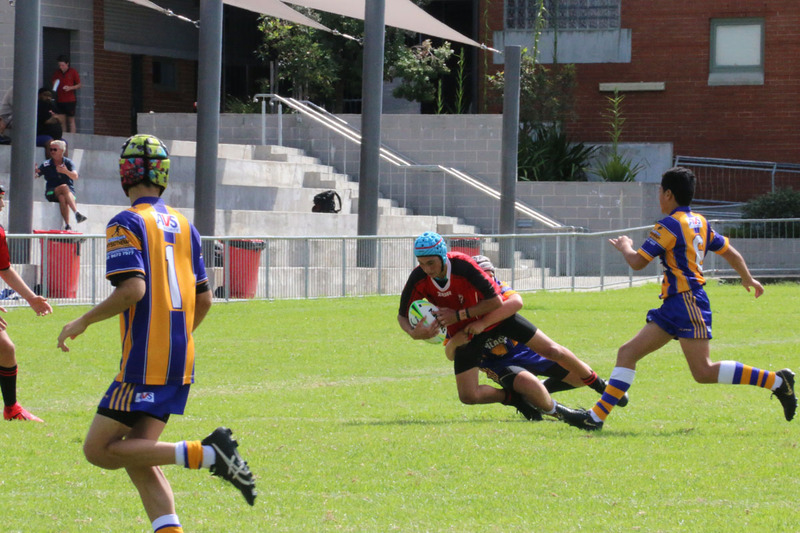 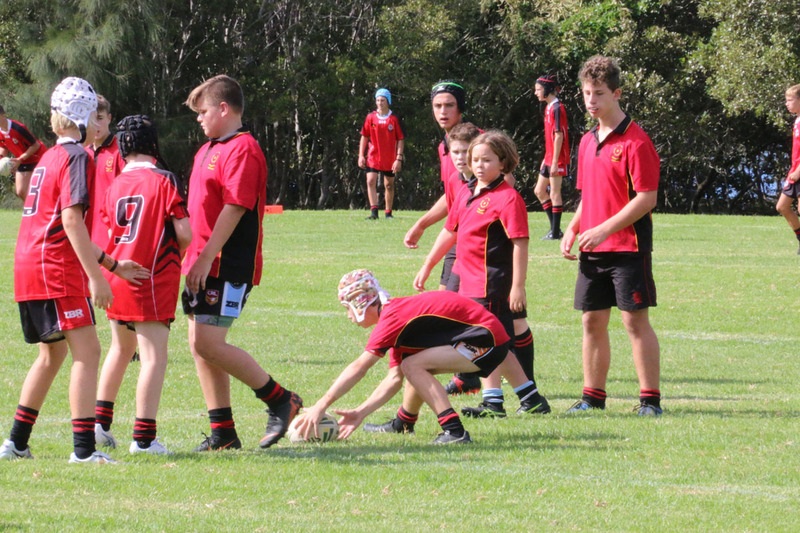 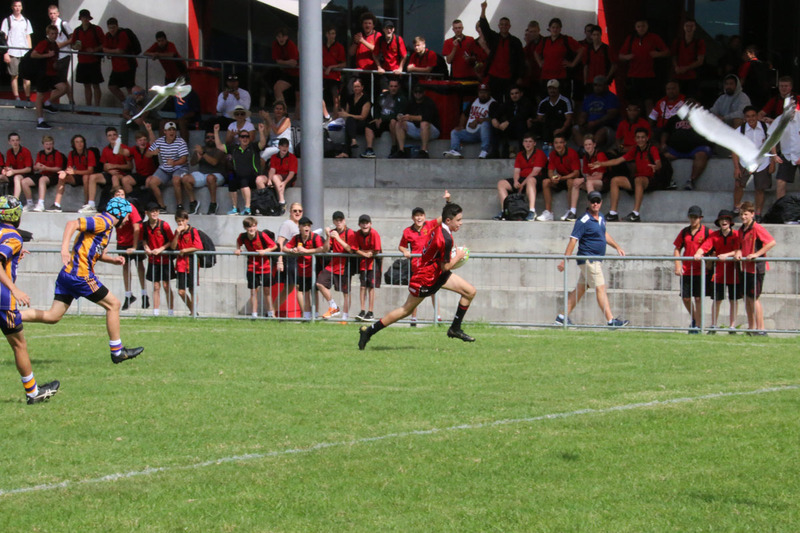 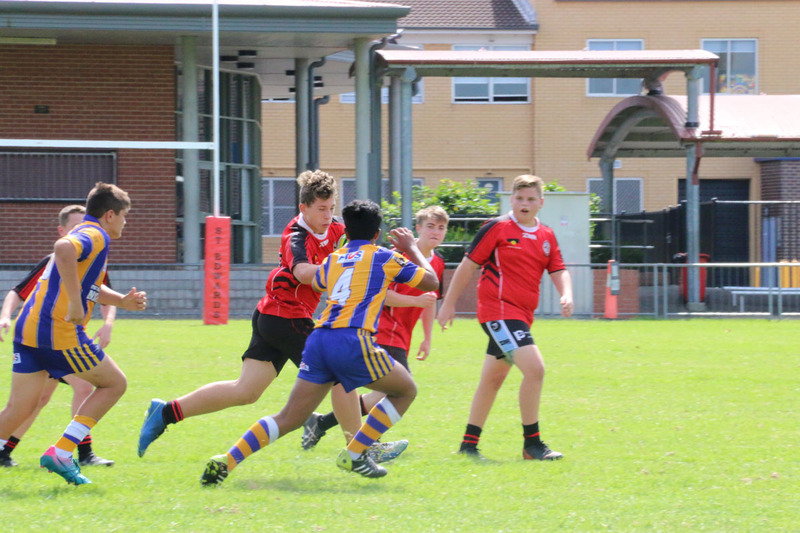 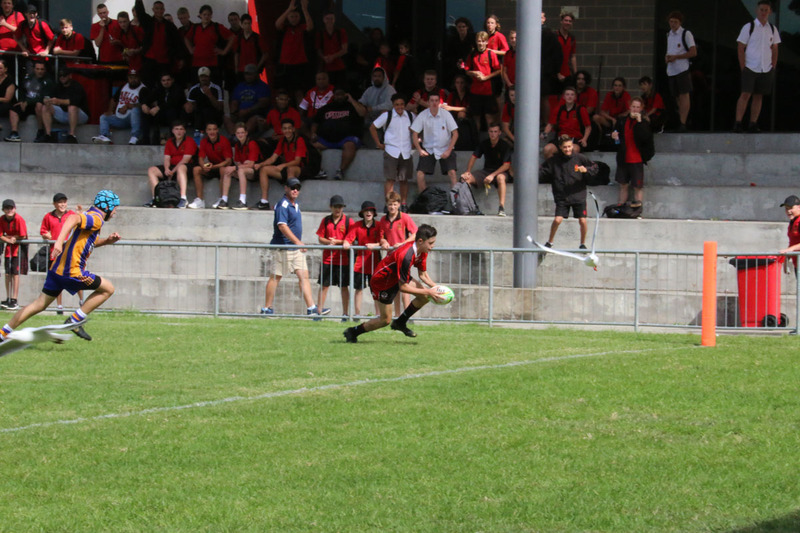 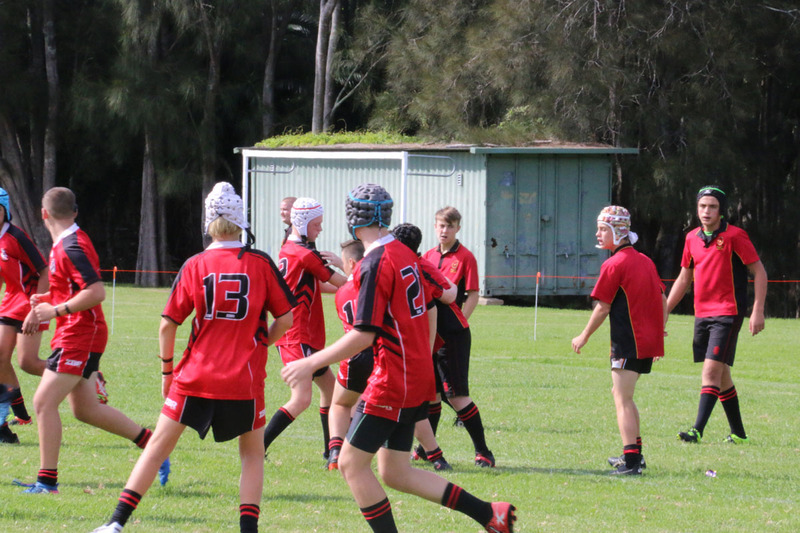 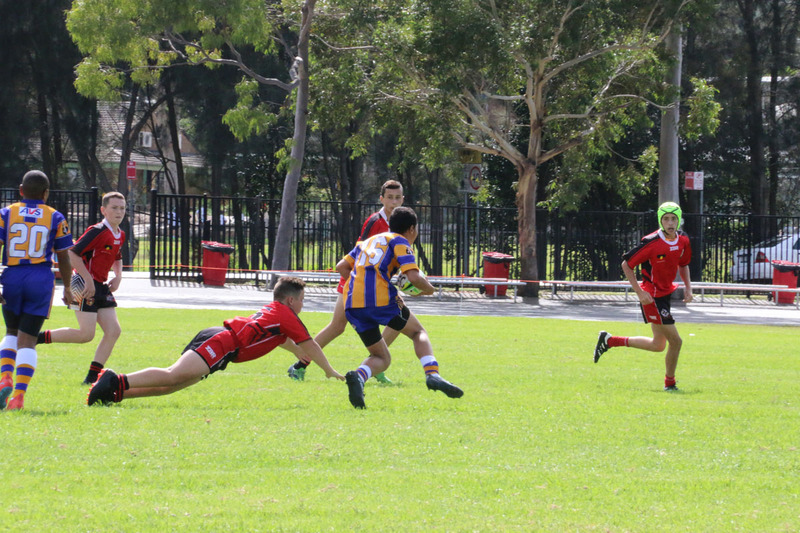 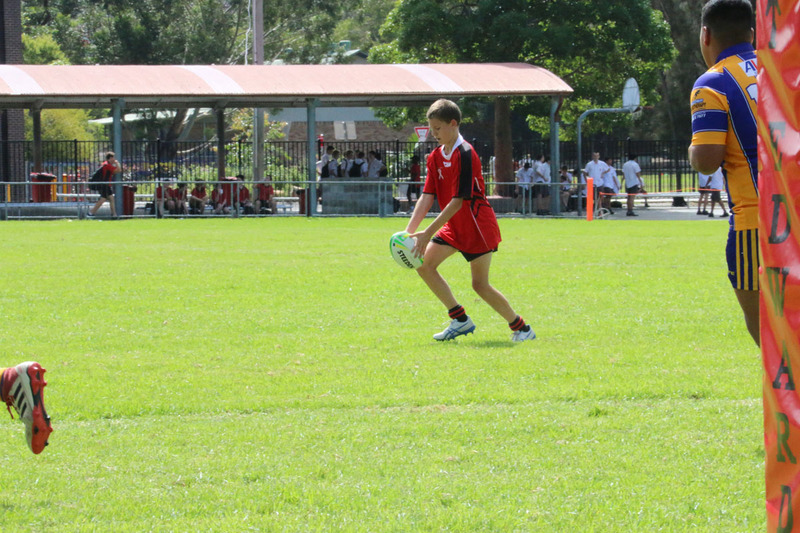 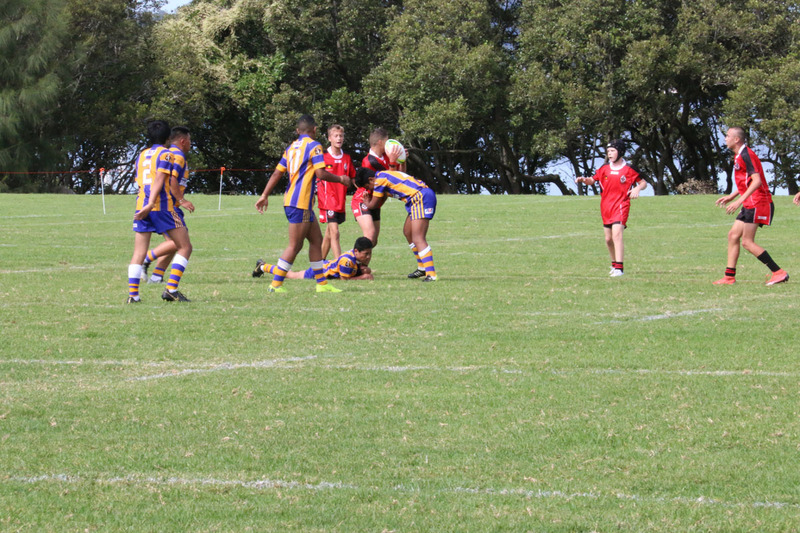 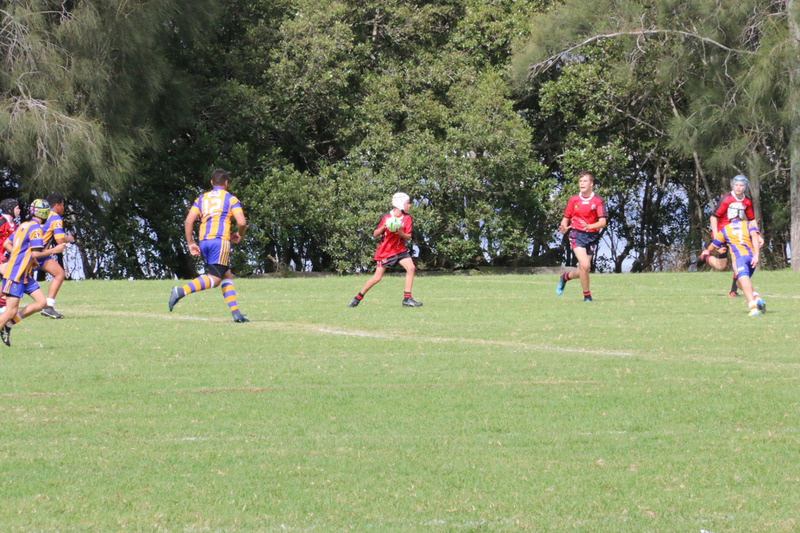 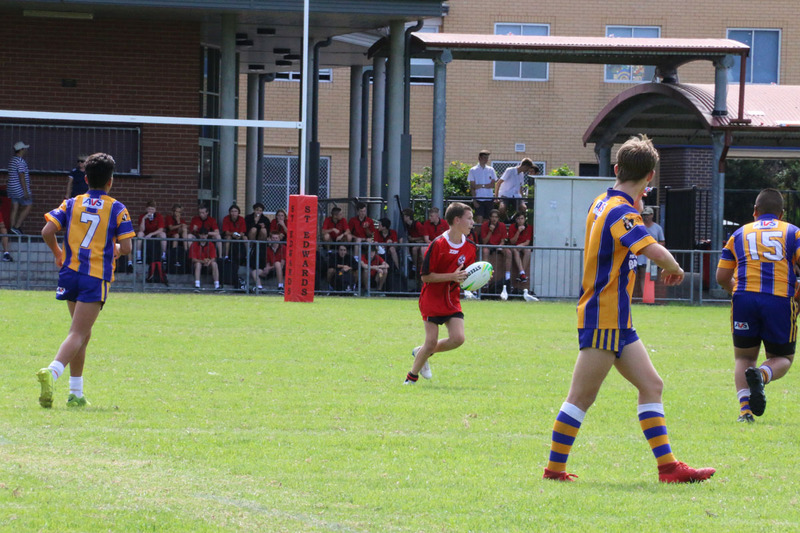 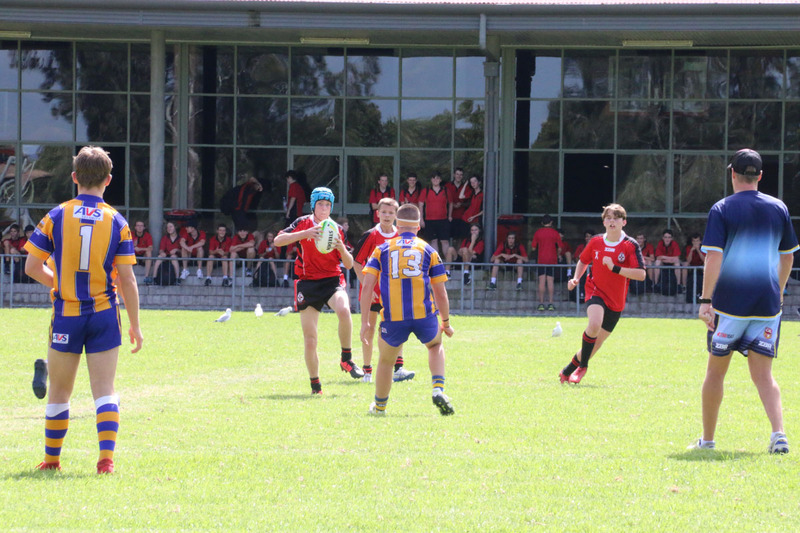 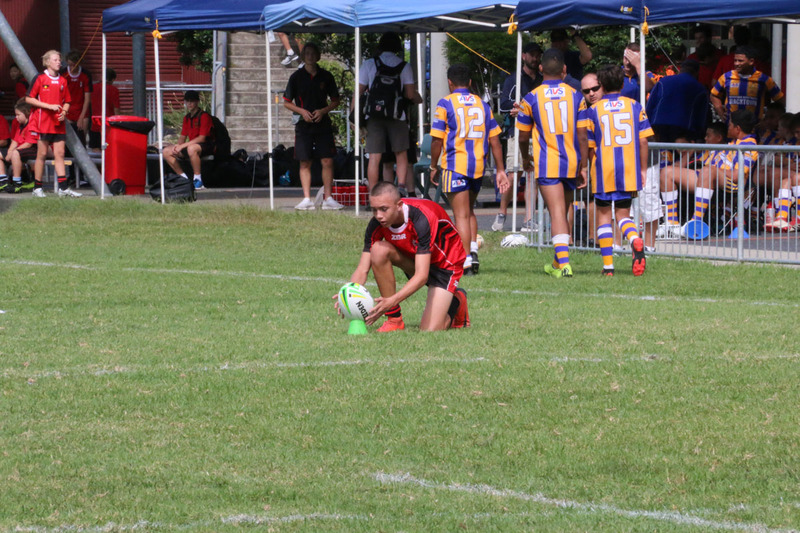 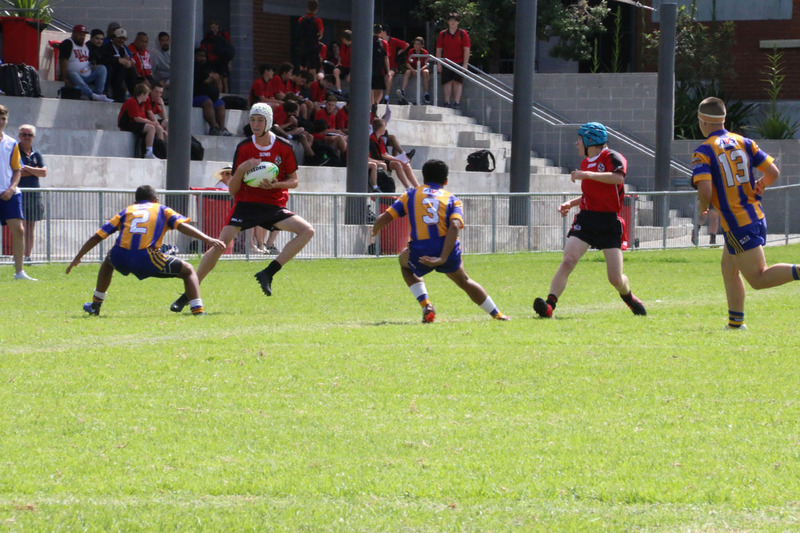 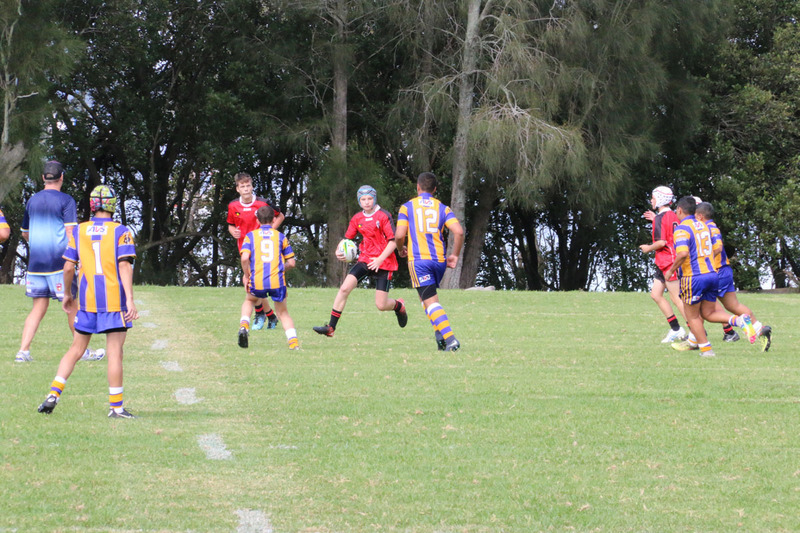 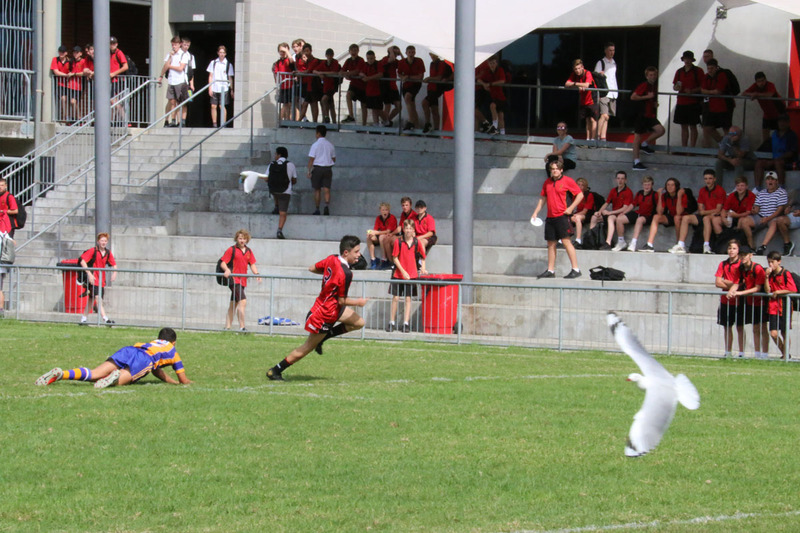 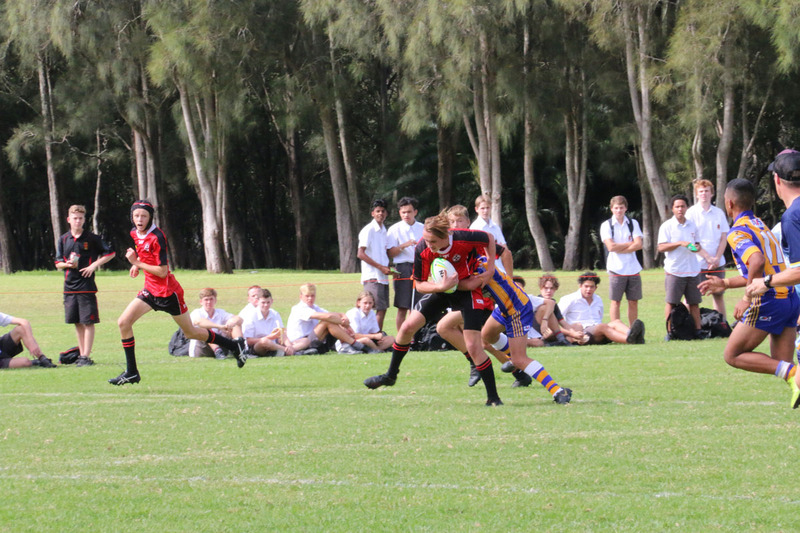 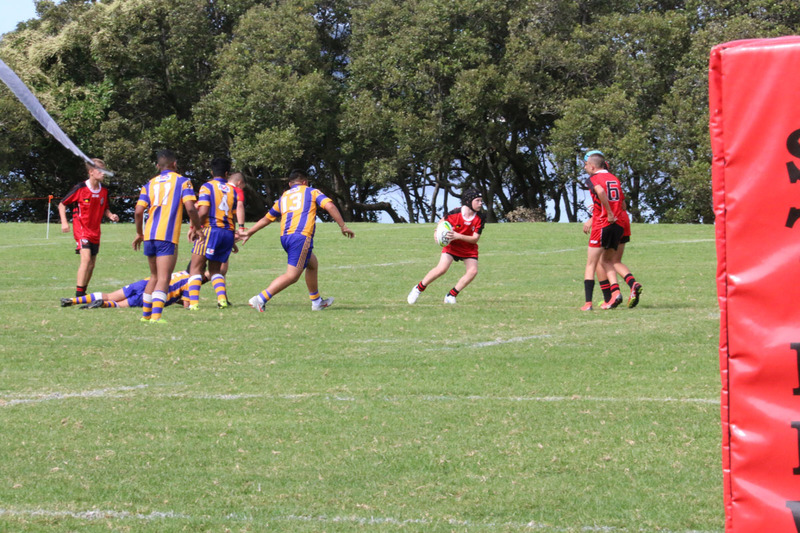 In the end Patrician Brothers’ were too big and strong and scored 4 tries to 2 in securing their victory. 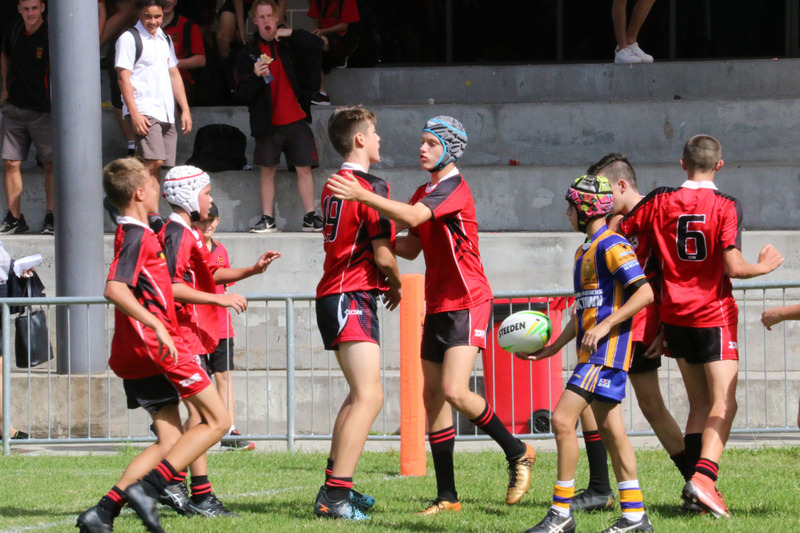 There were many great individual performances on the day and every player should be congratulated for their effort and the spirit they displayed during the game. 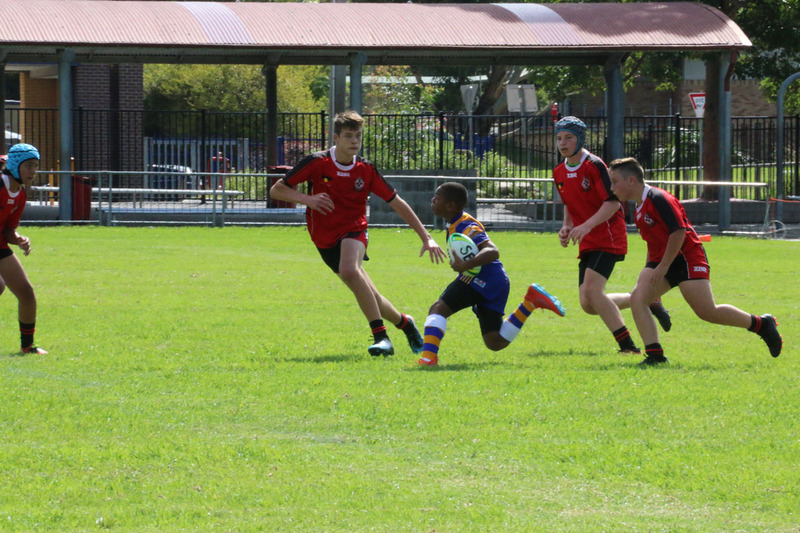 Malachi Smith was awarded the man of the match because of his great all round performance. 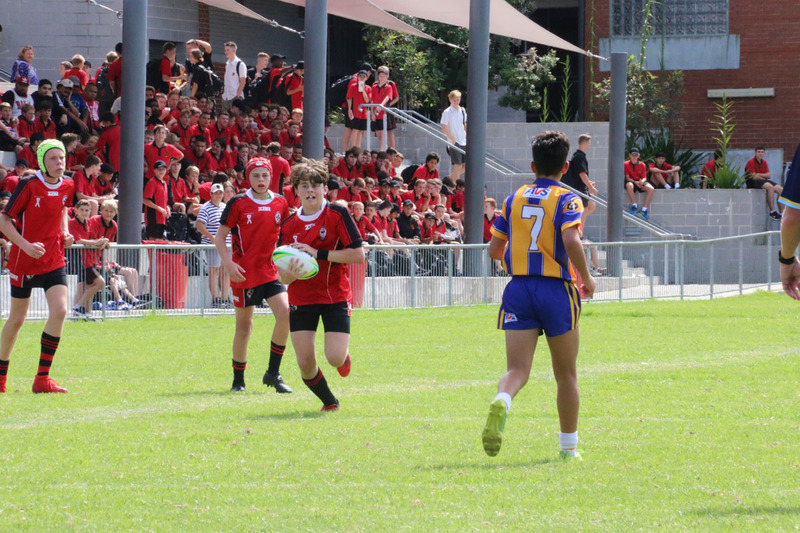 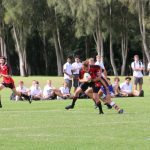 In the senior game St Edward’s started strongly against a Patrician Brothers’ team that had great power and skill in their line-up. 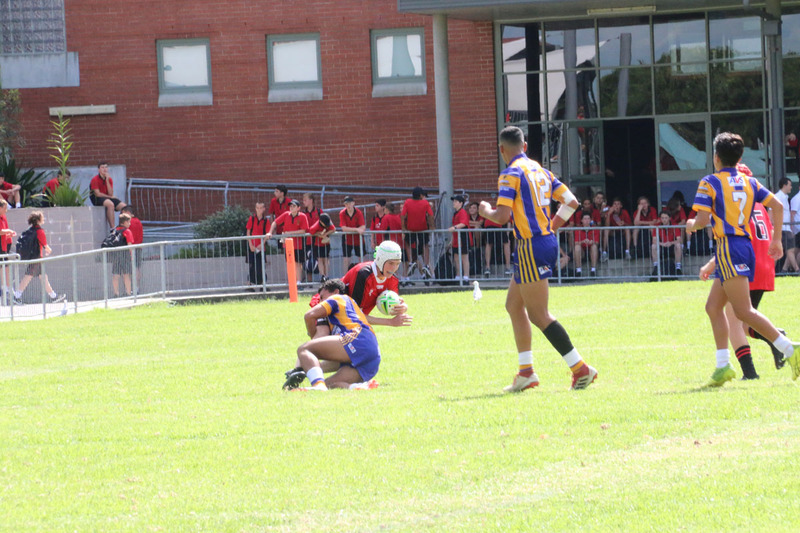 Credit must go to the determined and courageous men from St Edward’s for the way they banded together and tried to counter every move the giant Patrician Brothers’ team threw at them. 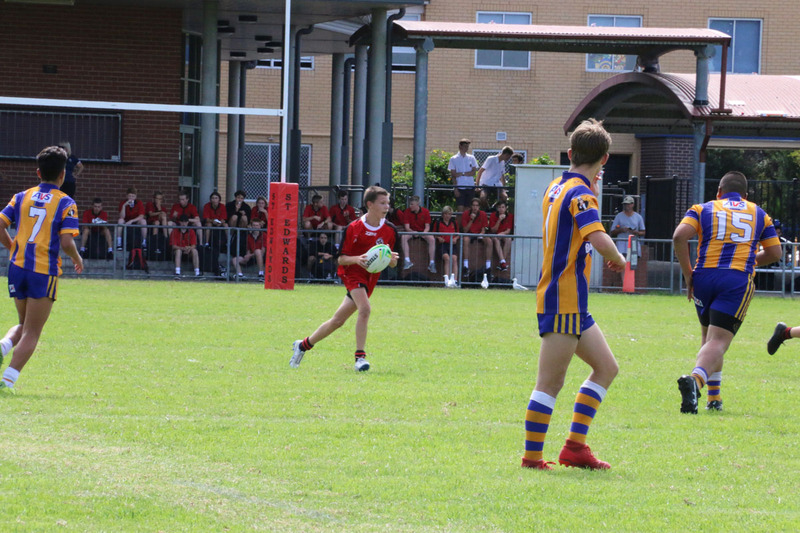 Once again there were great performances from both teams and it took a long time for Patrician Brothers’ to dominate on the score board. 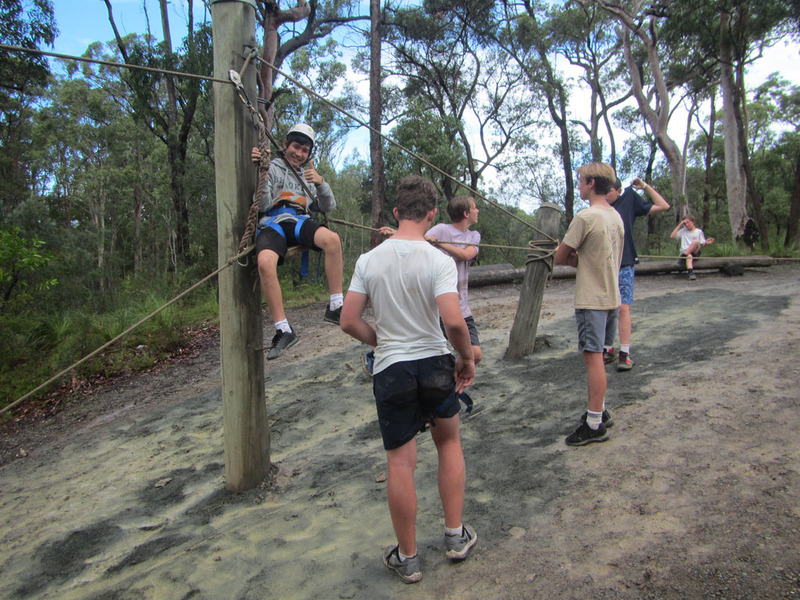 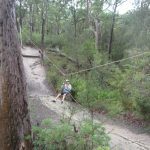 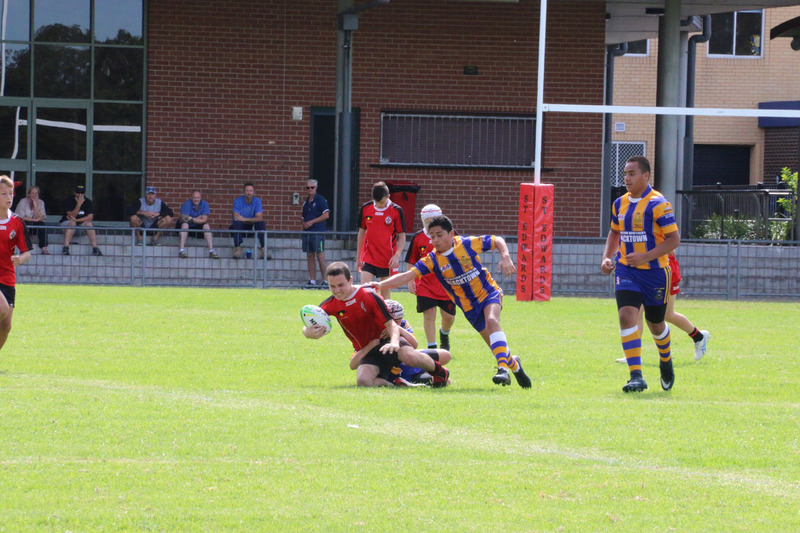 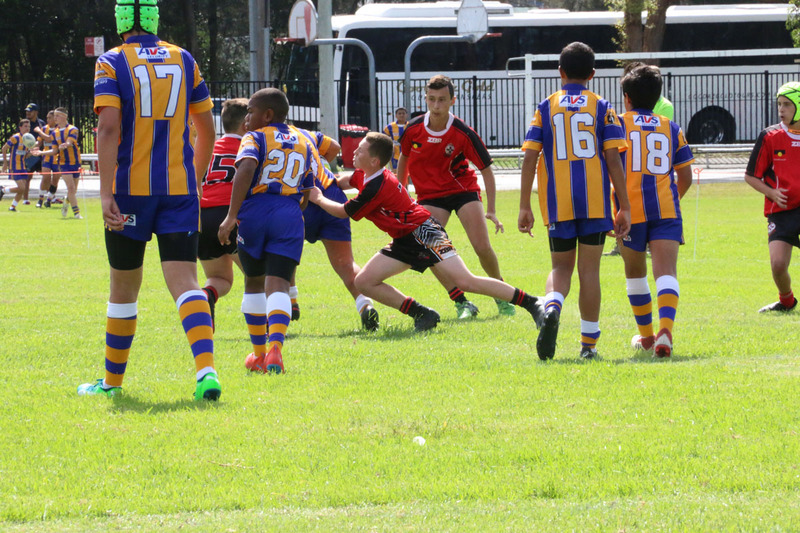 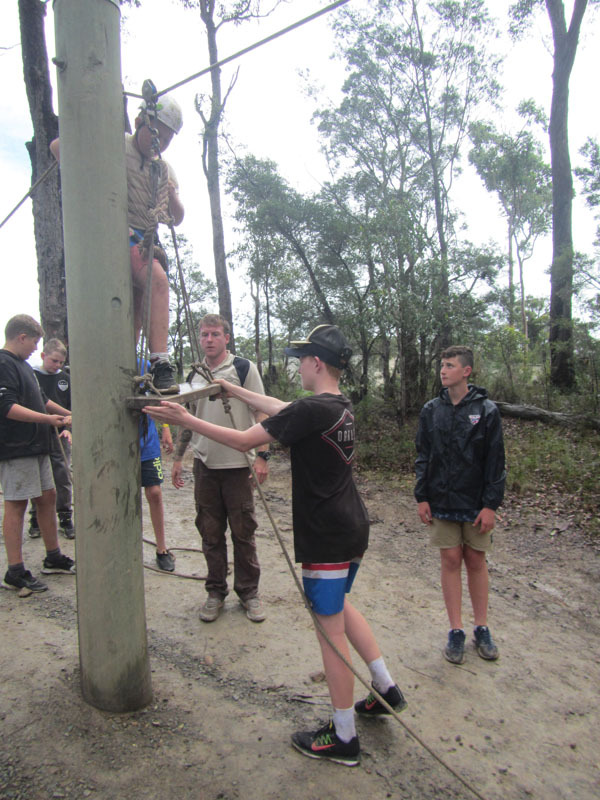 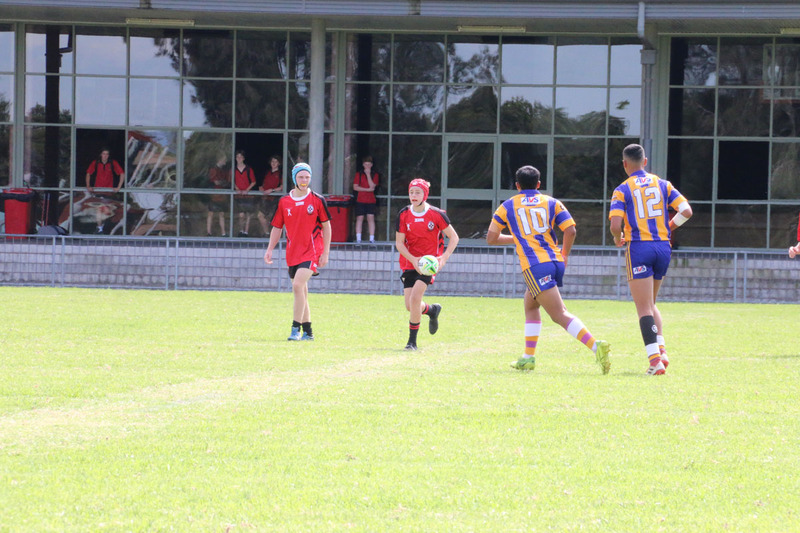 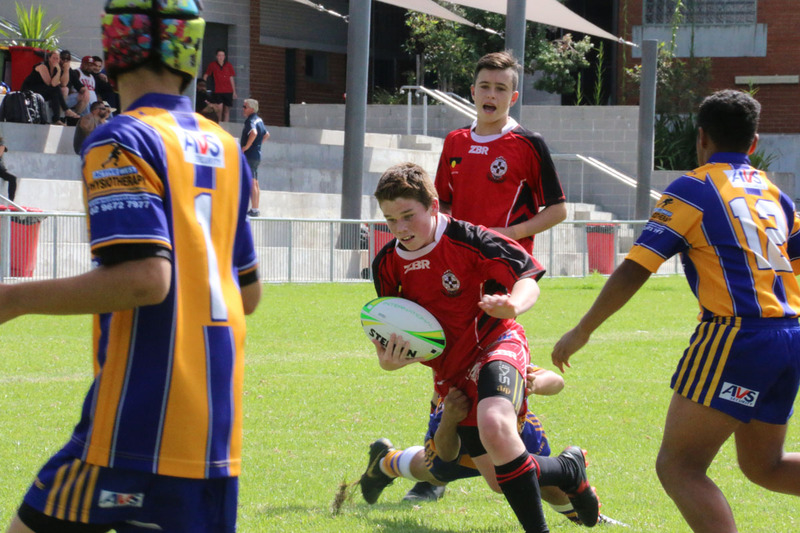 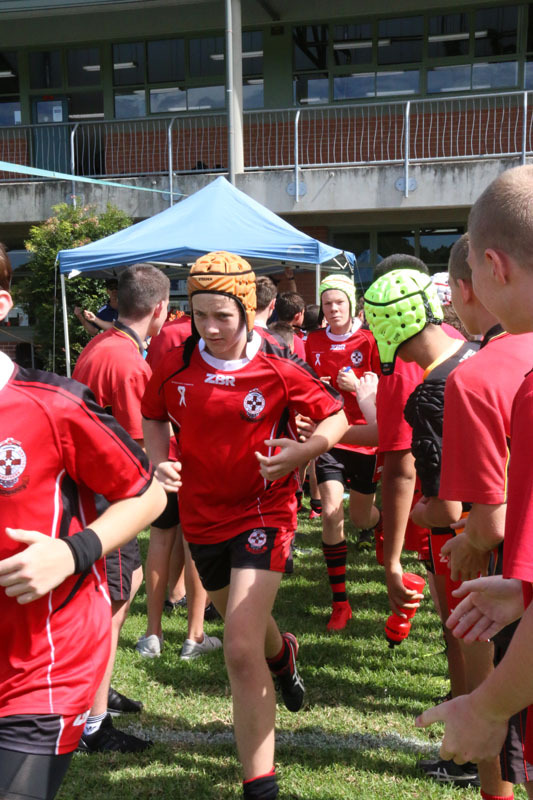 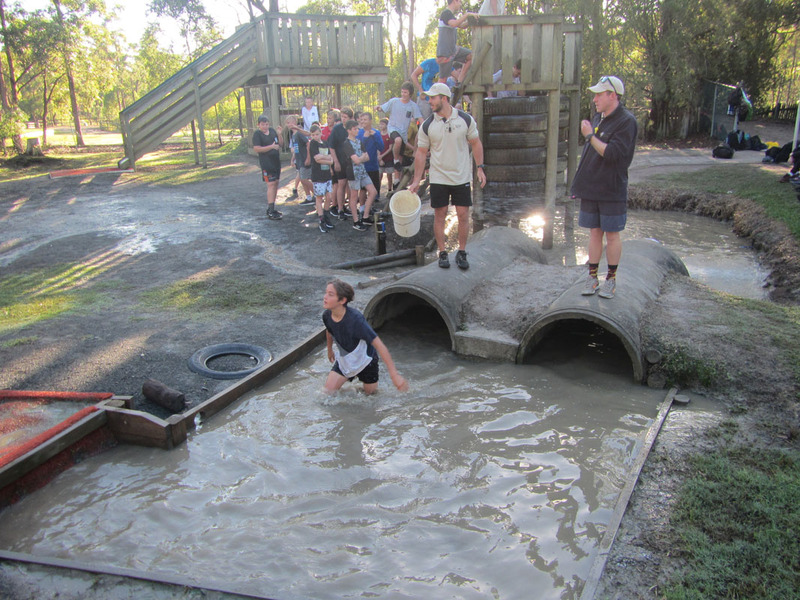 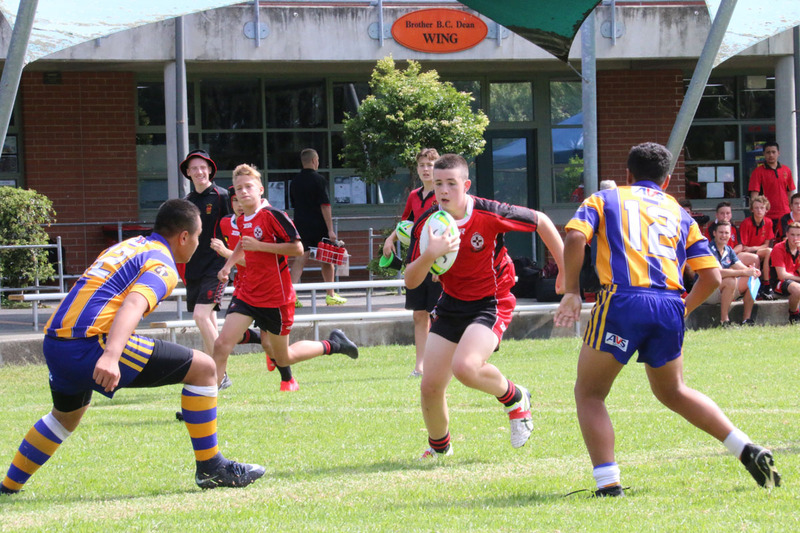 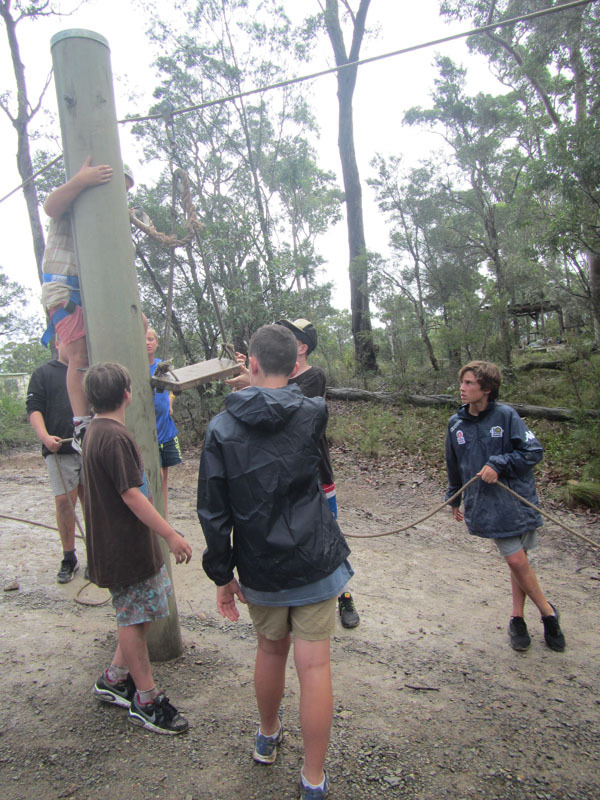 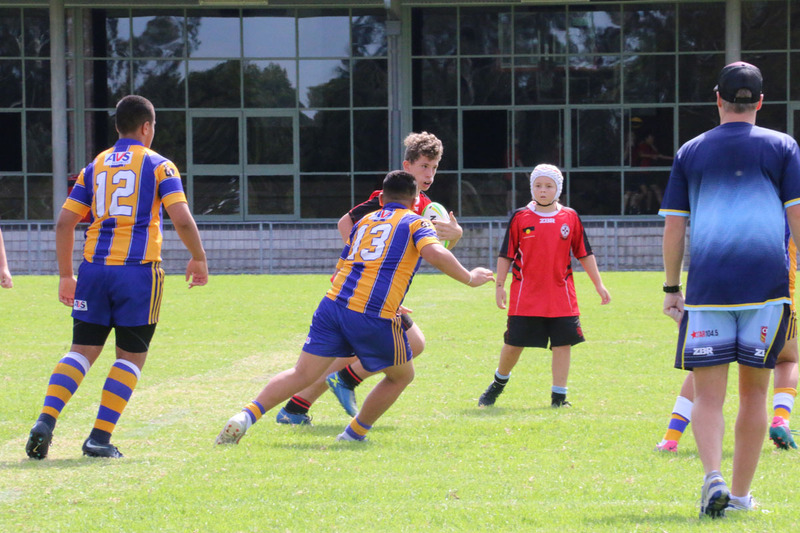 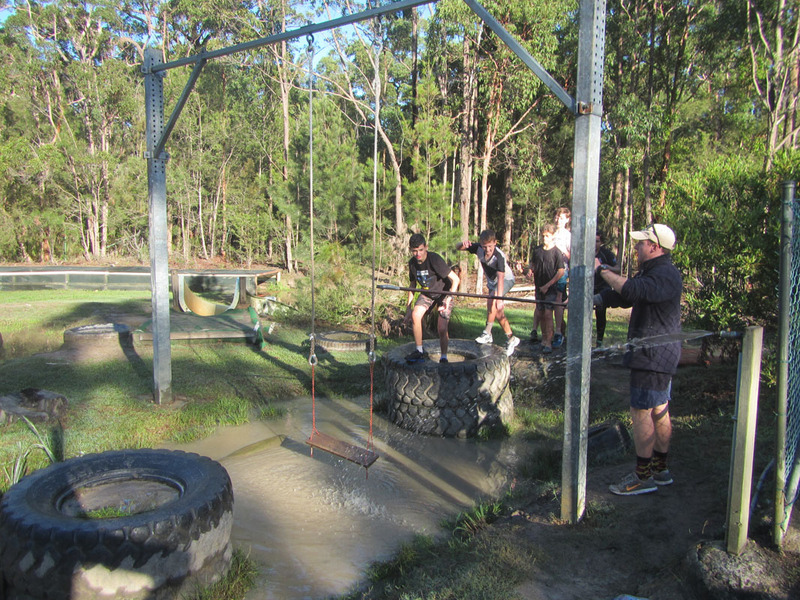 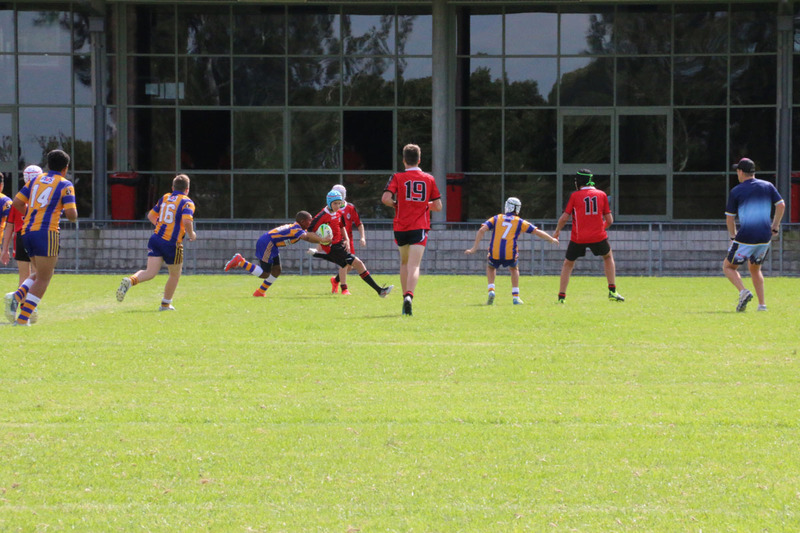 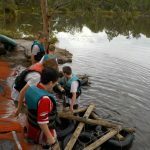 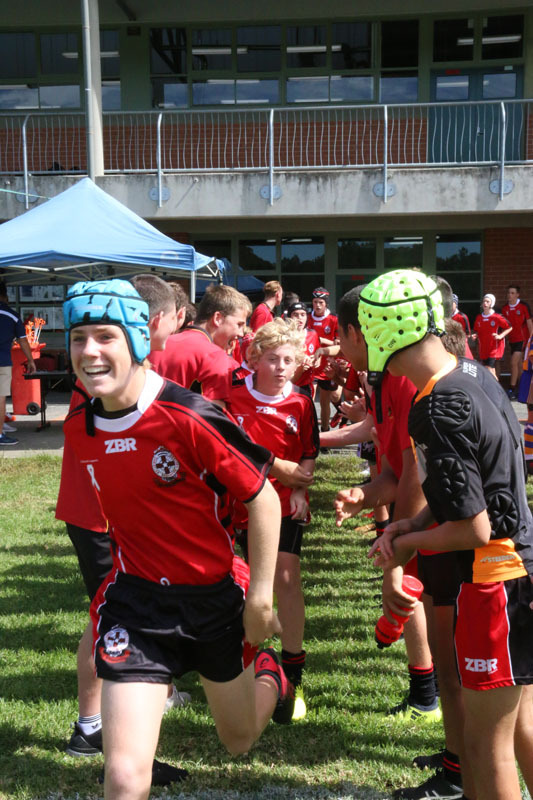 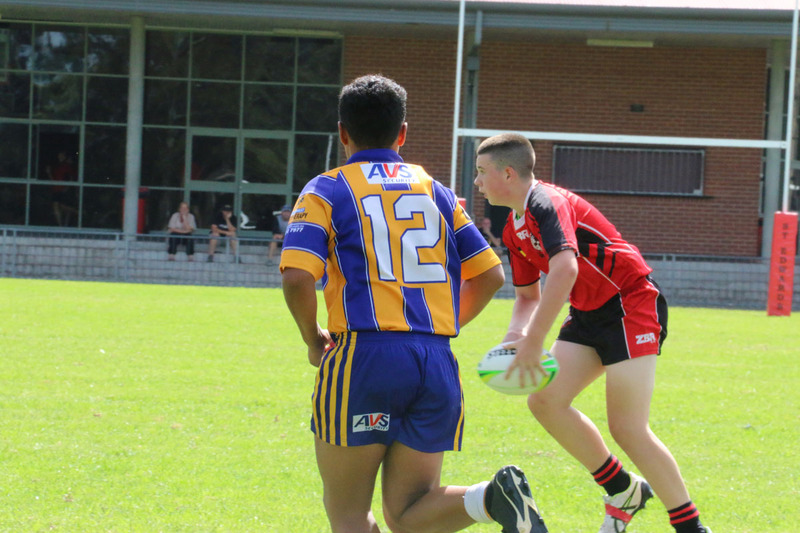 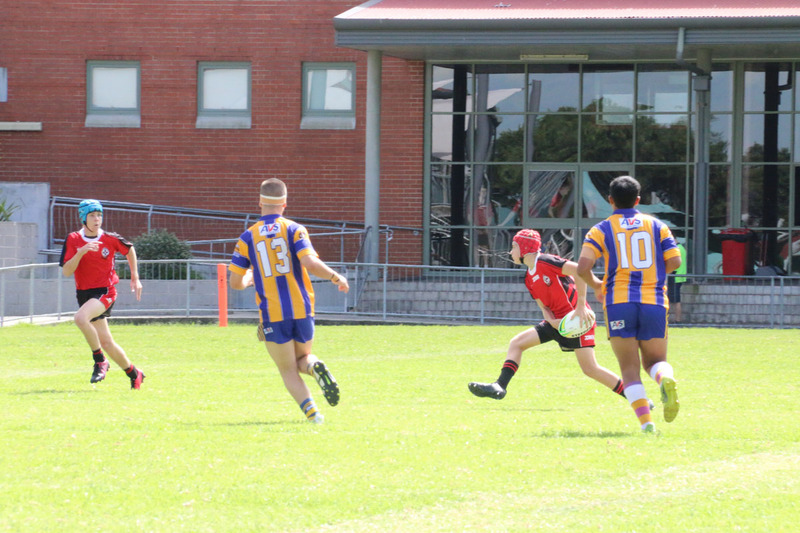 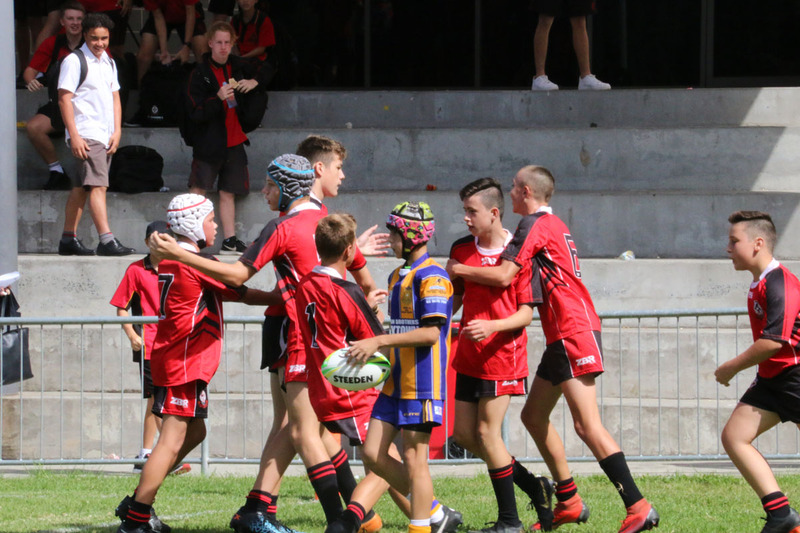 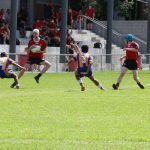 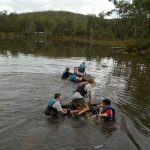 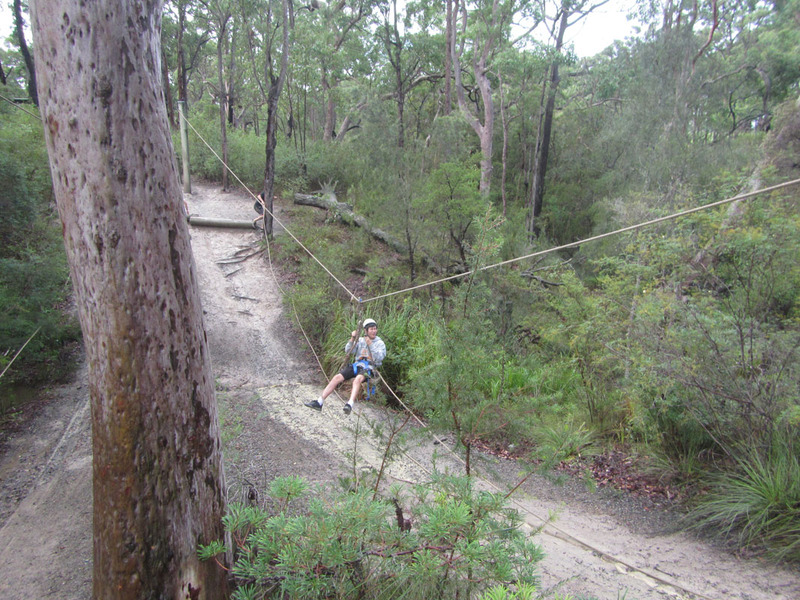 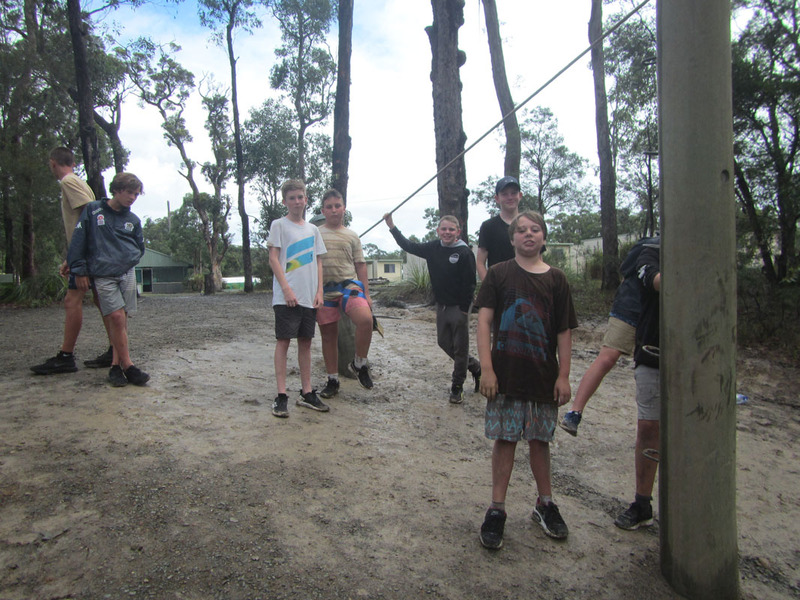 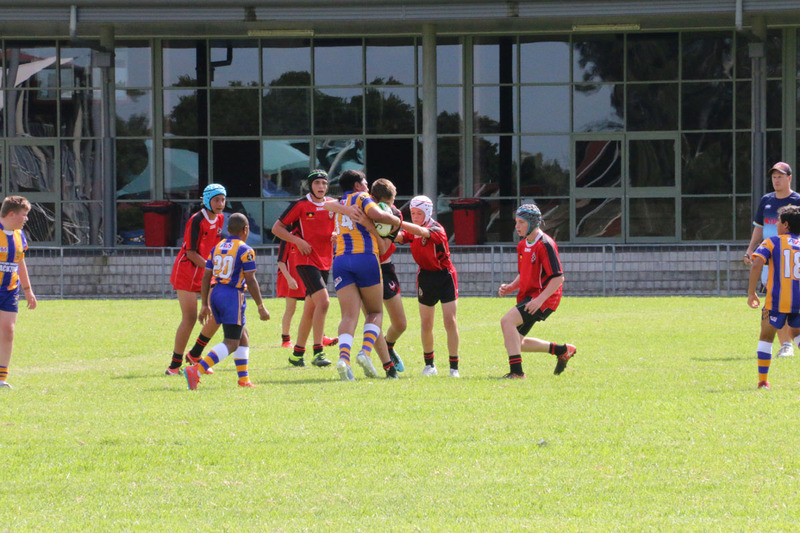 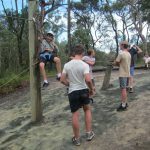 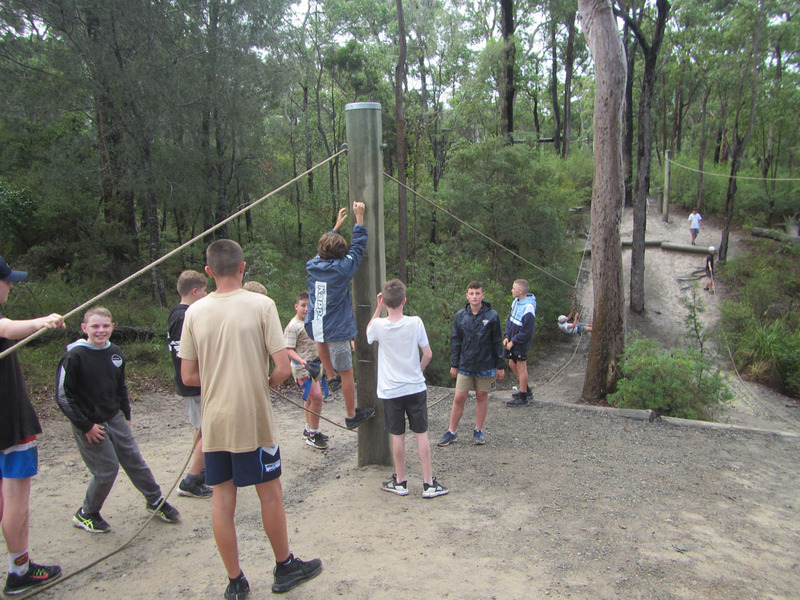 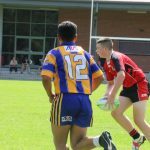 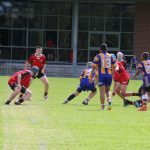 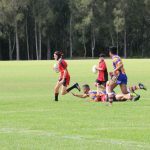 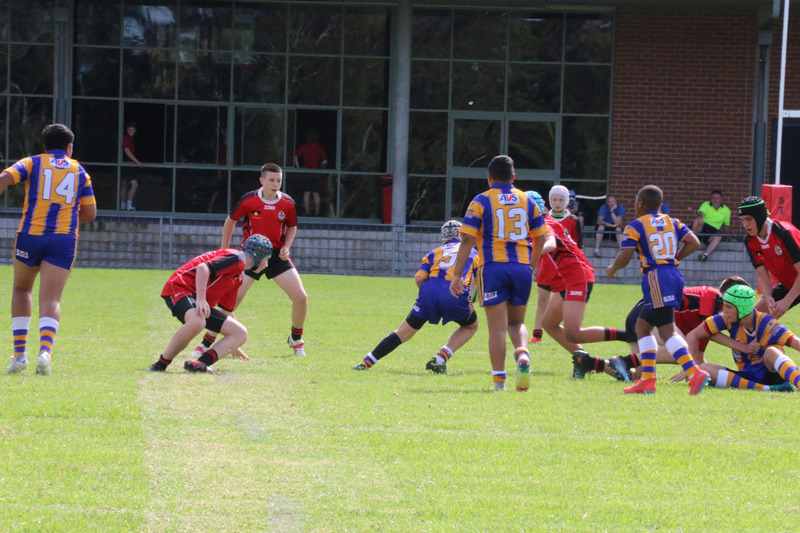 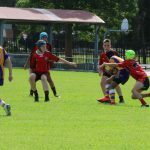 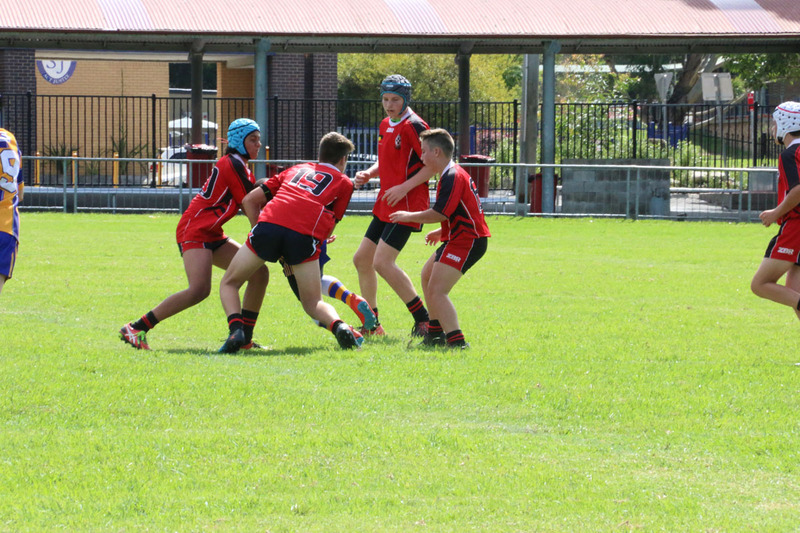 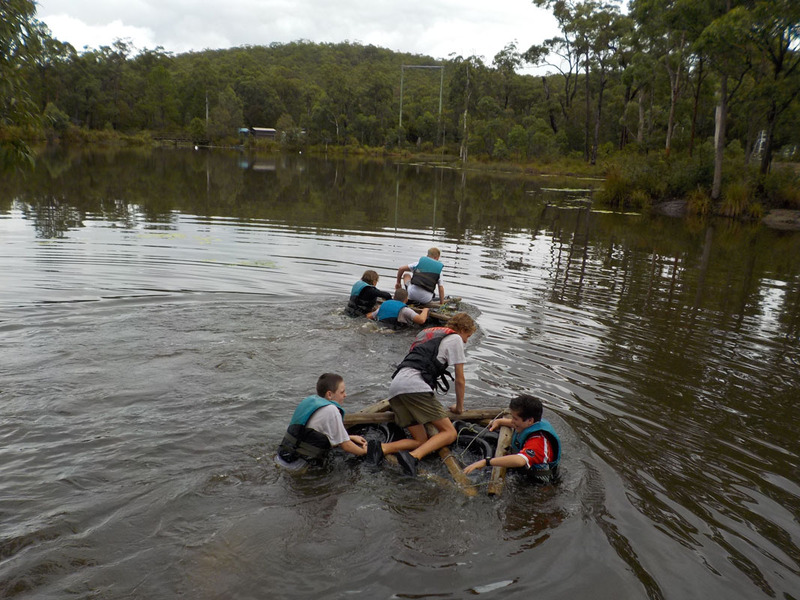 The final result was 4 tries to 1 in favour of Blacktown. 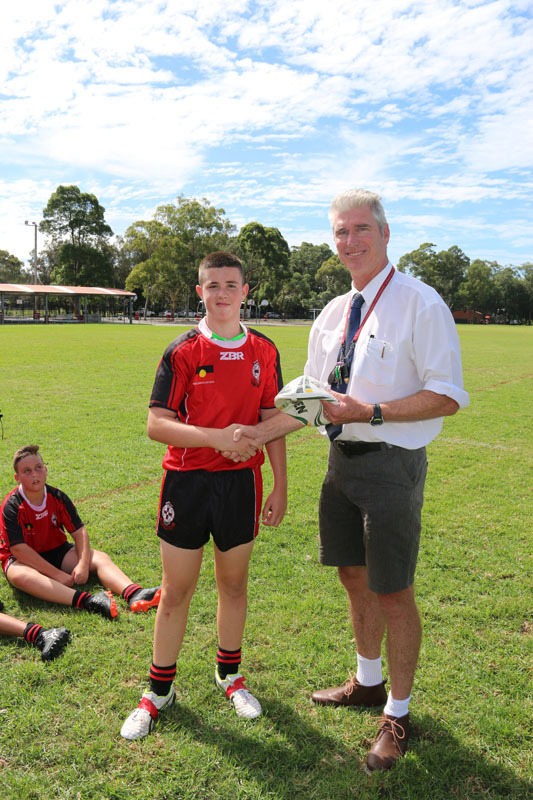 Jack Jamieson received the man of the match award for his great defence and dynamic attack. 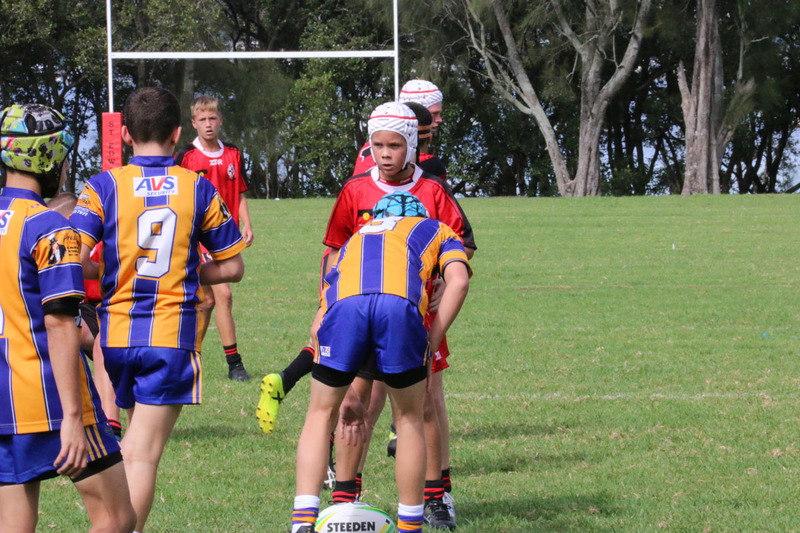 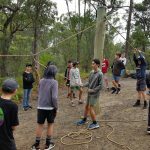 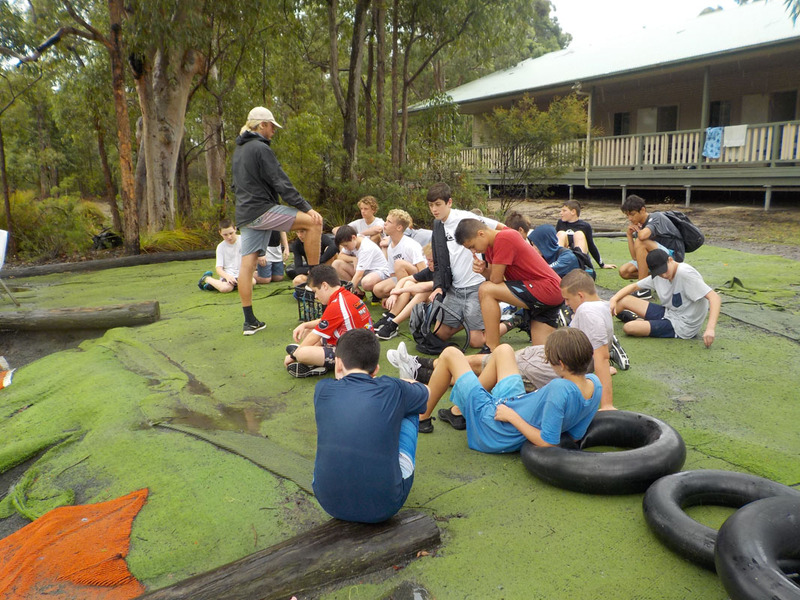 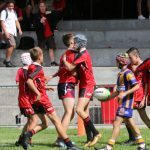 A big thank you to our coaches Mr Sullivan and Mr Herringe and all the people who contributed to this special day of Rugby League, especially the boys from St Edward’s College who put their hand up to play.